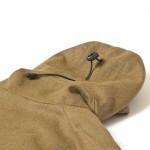 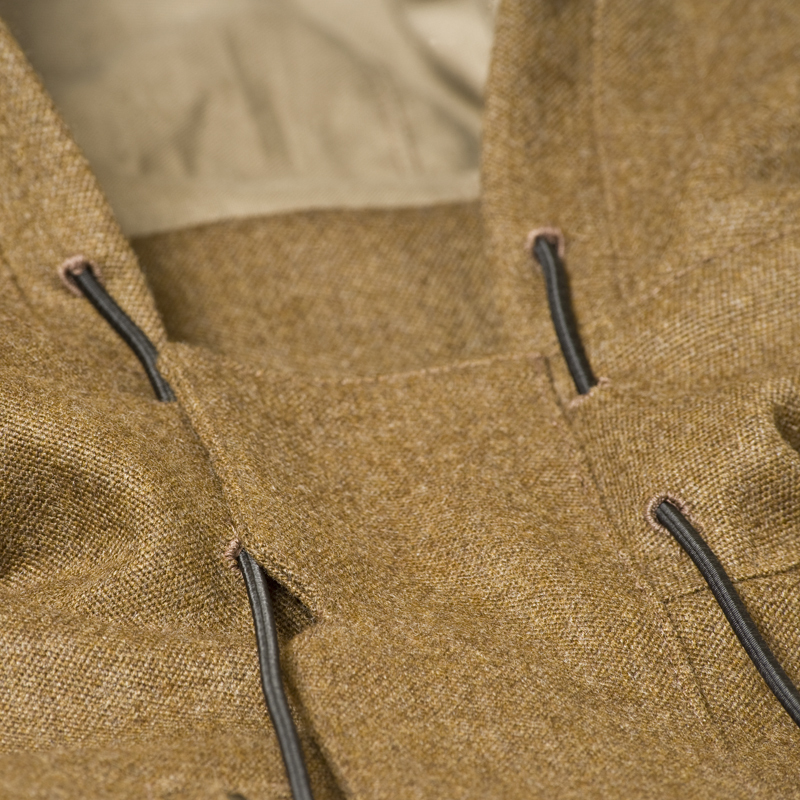 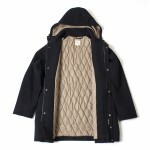 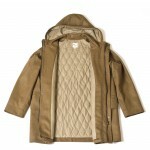 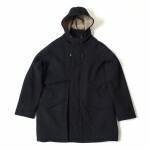 Modernist parka style with large lower bellows pockets and curved half bellows zip breast pocket. 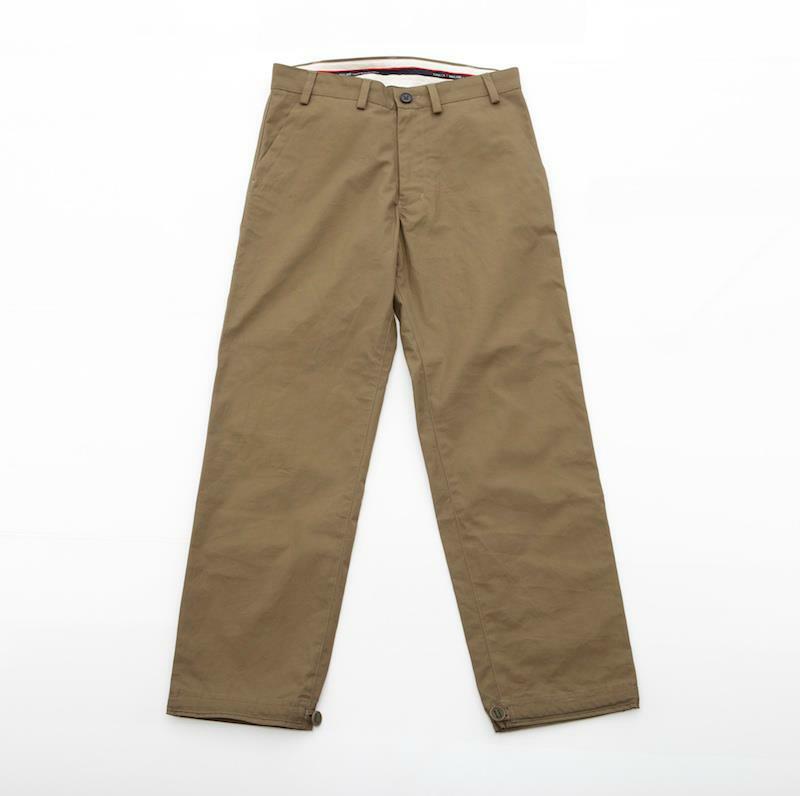 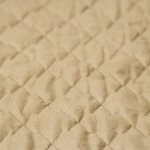 Ministry of defence approved since 1783: worsted Barathea 375 gram wool, custom-made Japanese pine bark quilted lining and manufactured in the United Kingdom. 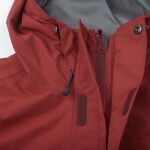 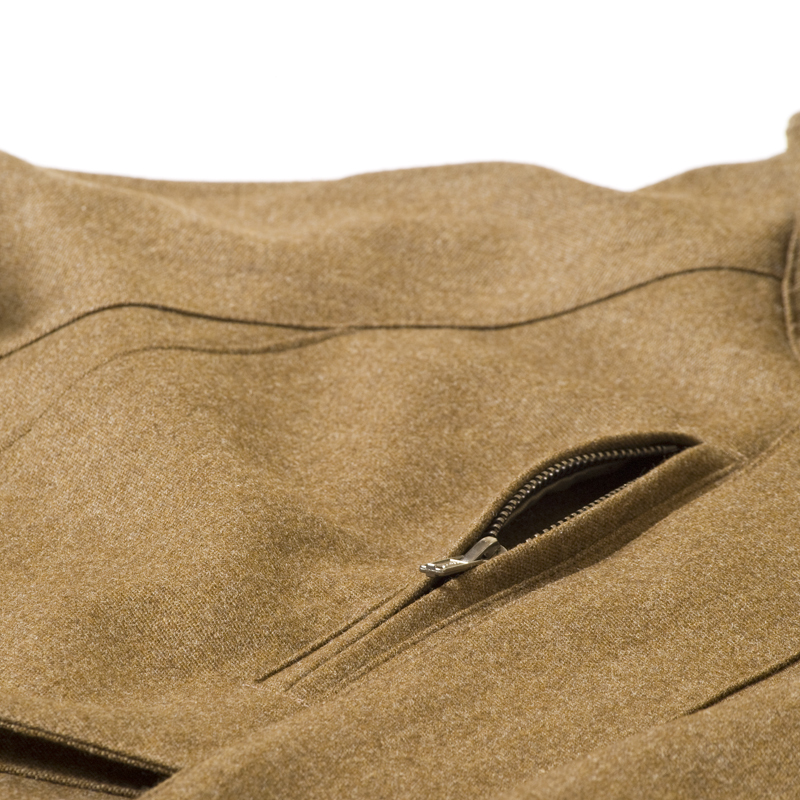 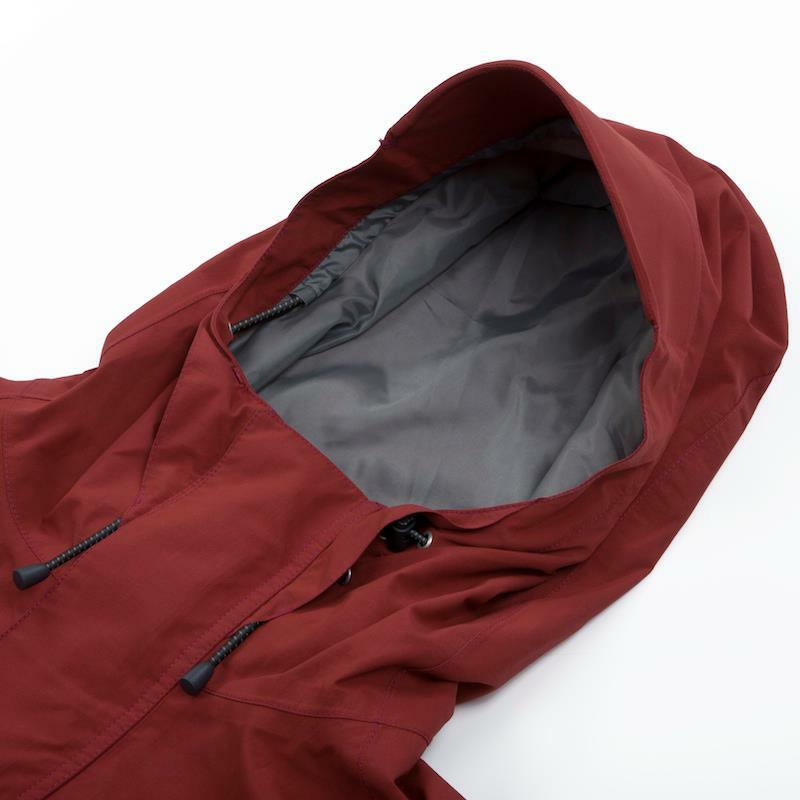 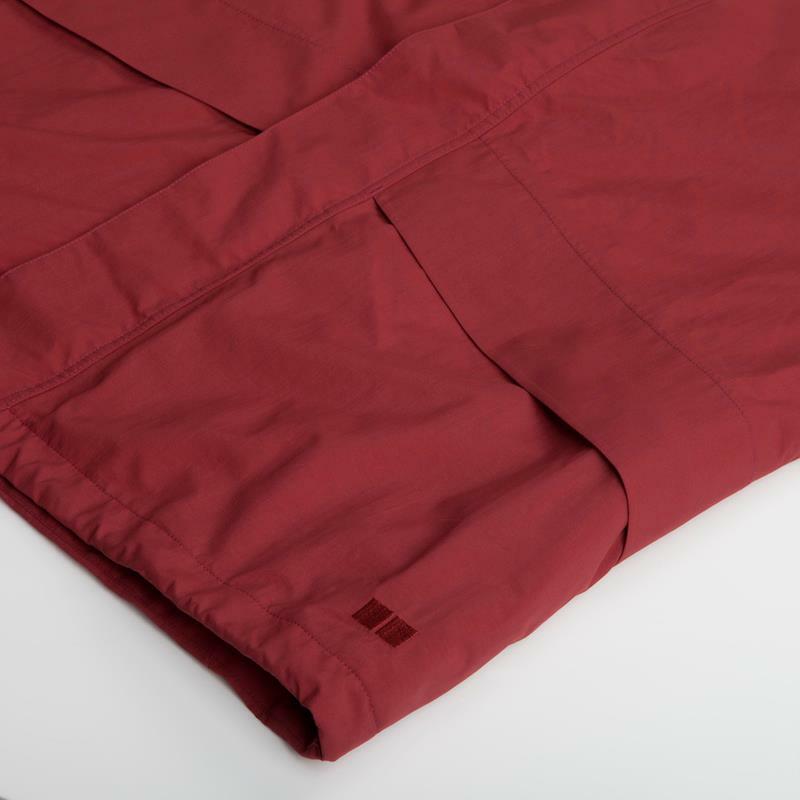 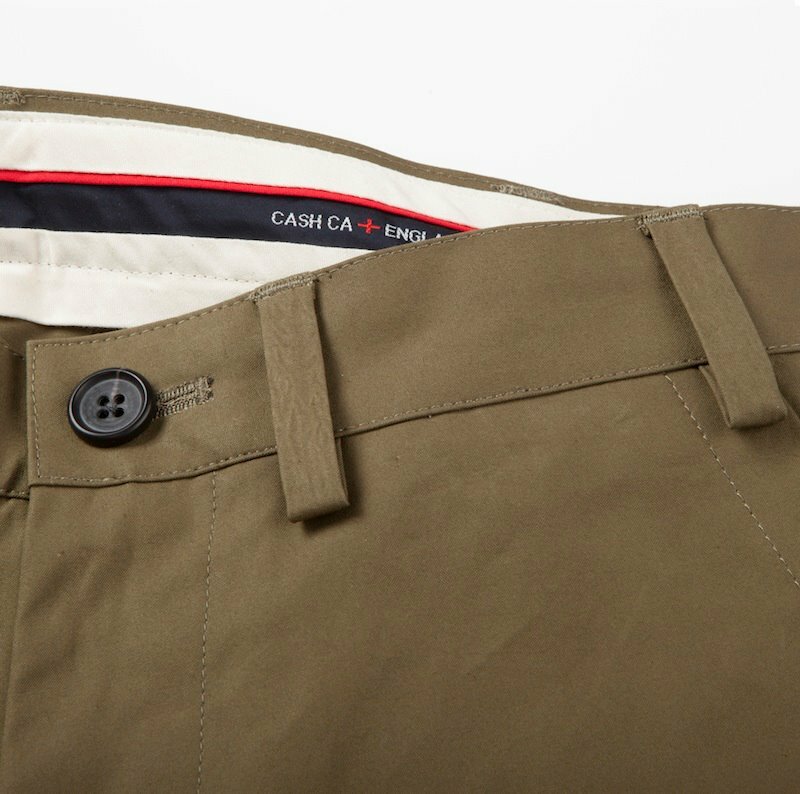 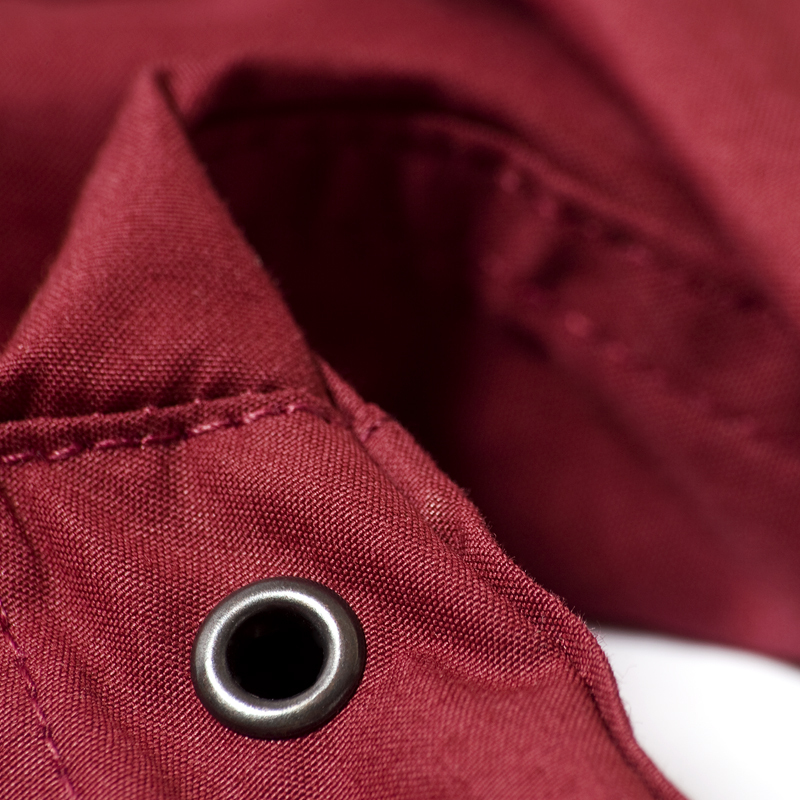 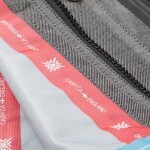 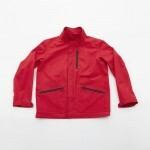 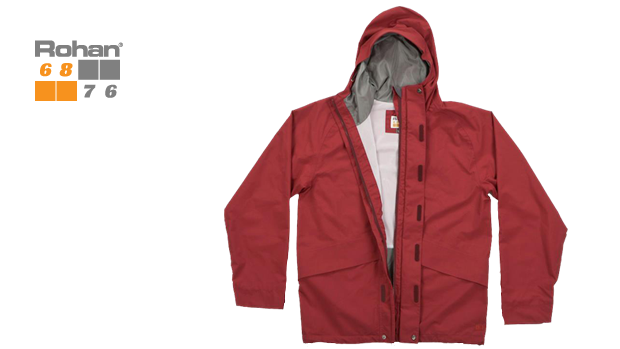 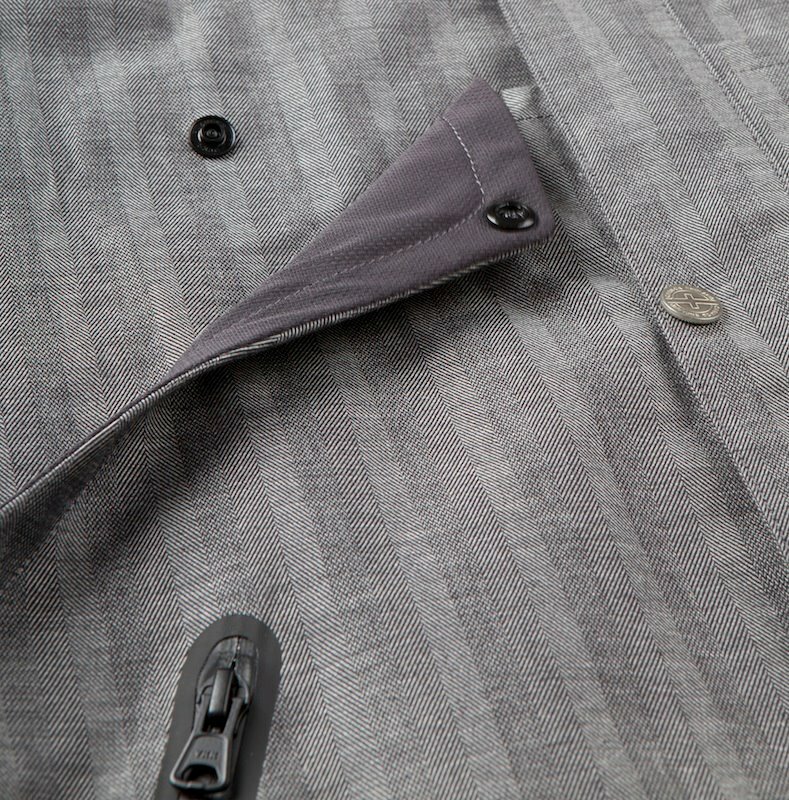 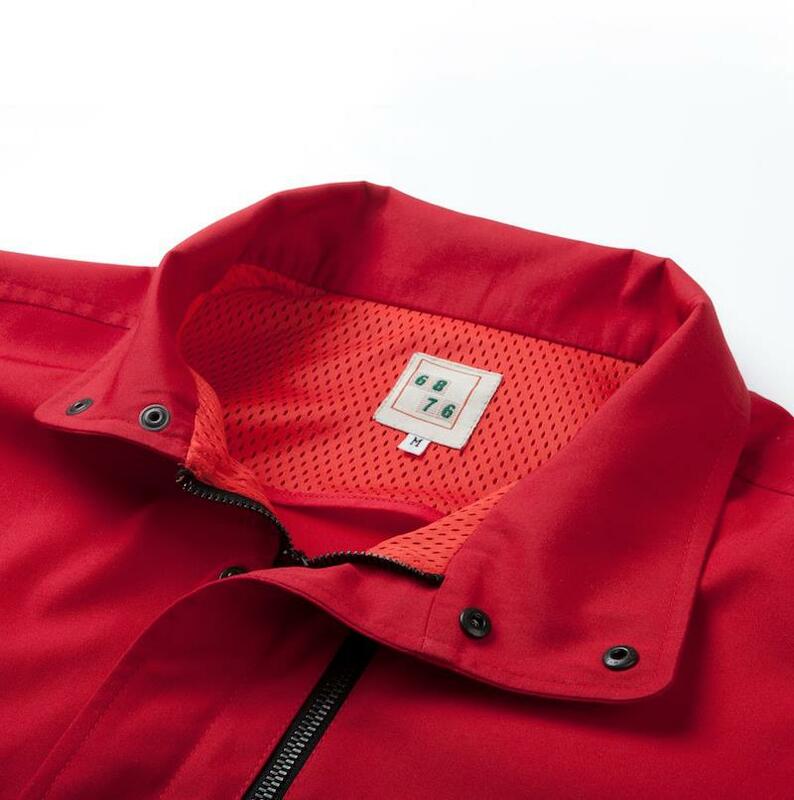 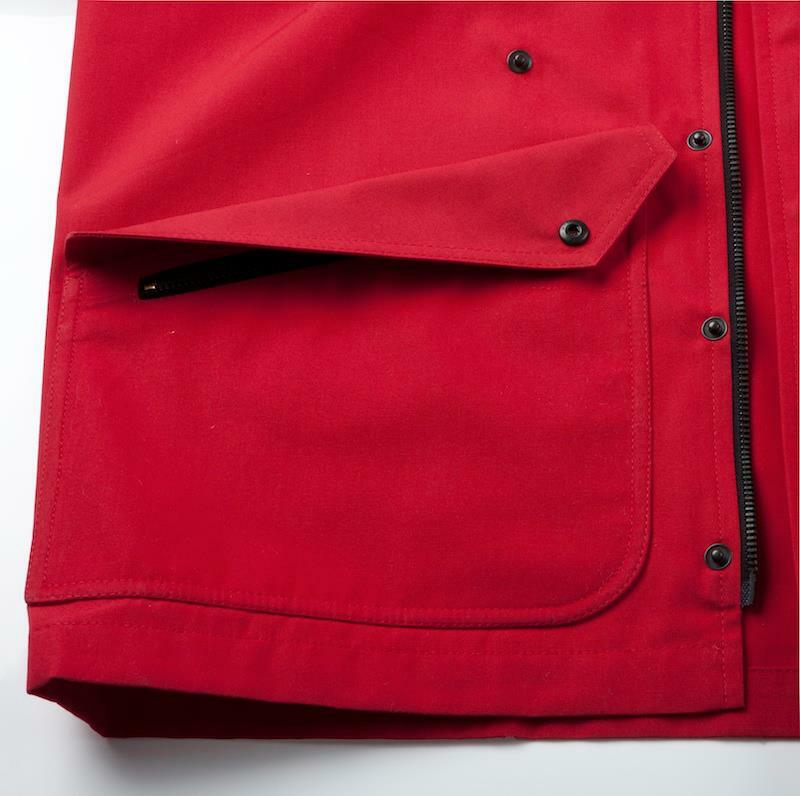 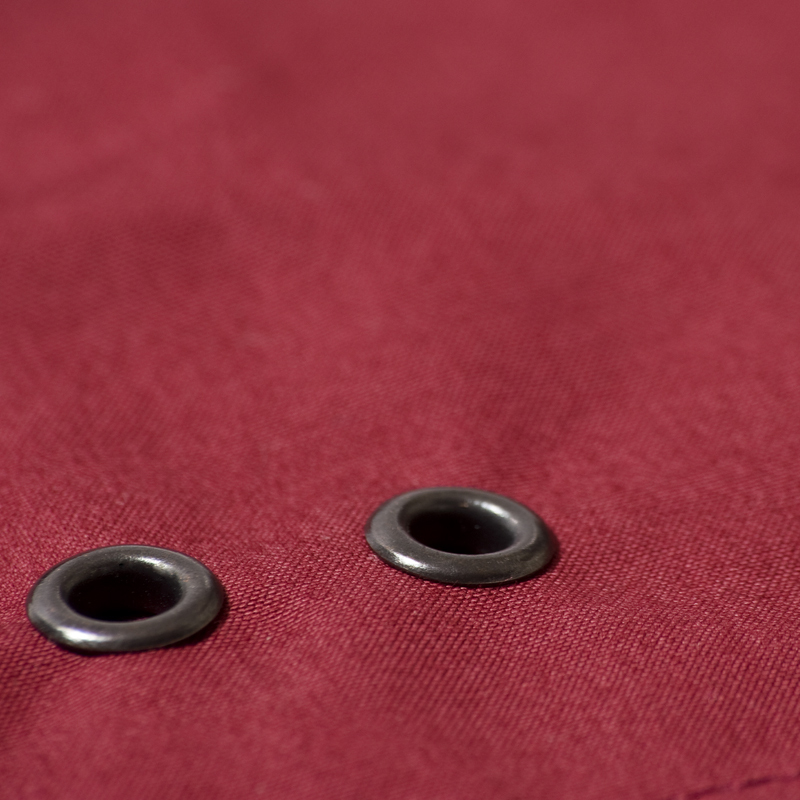 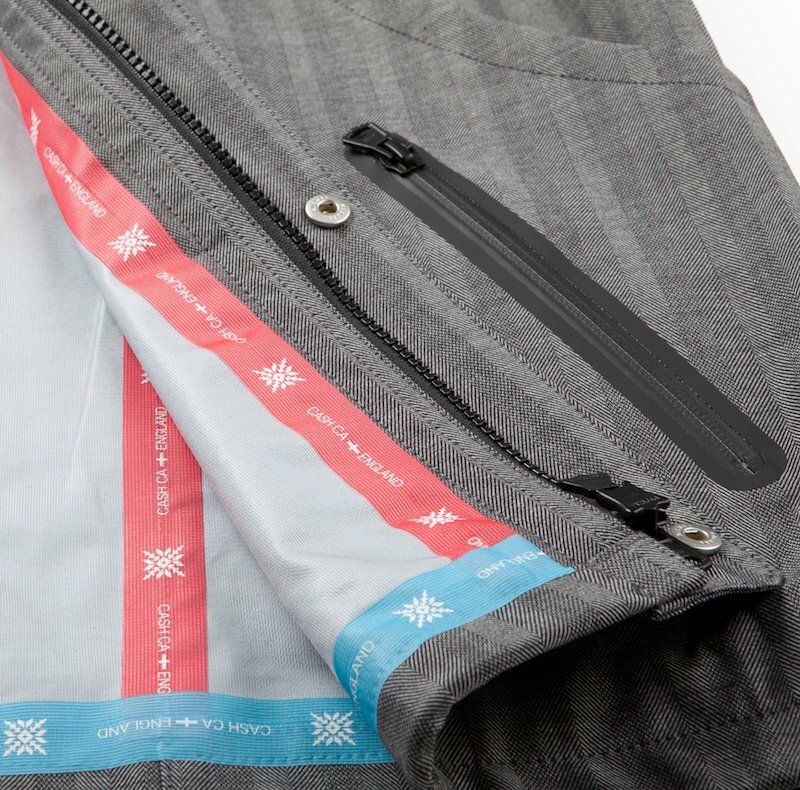 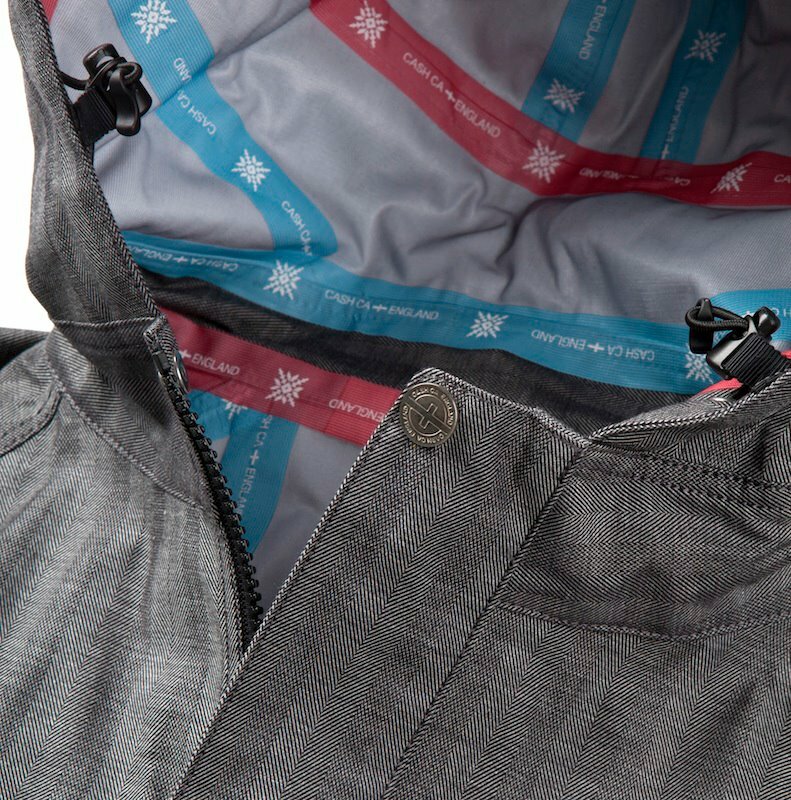 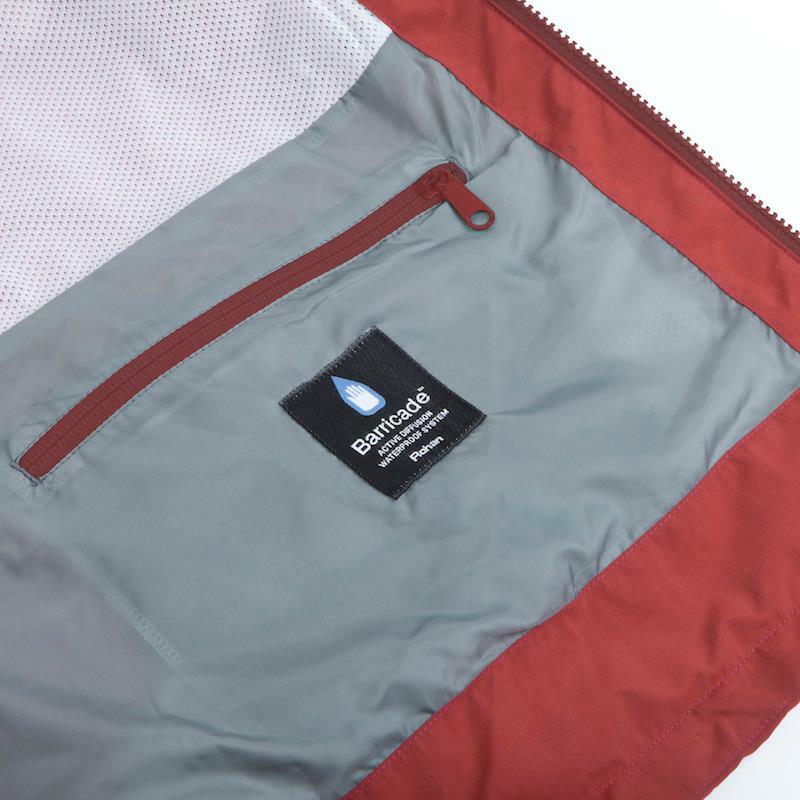 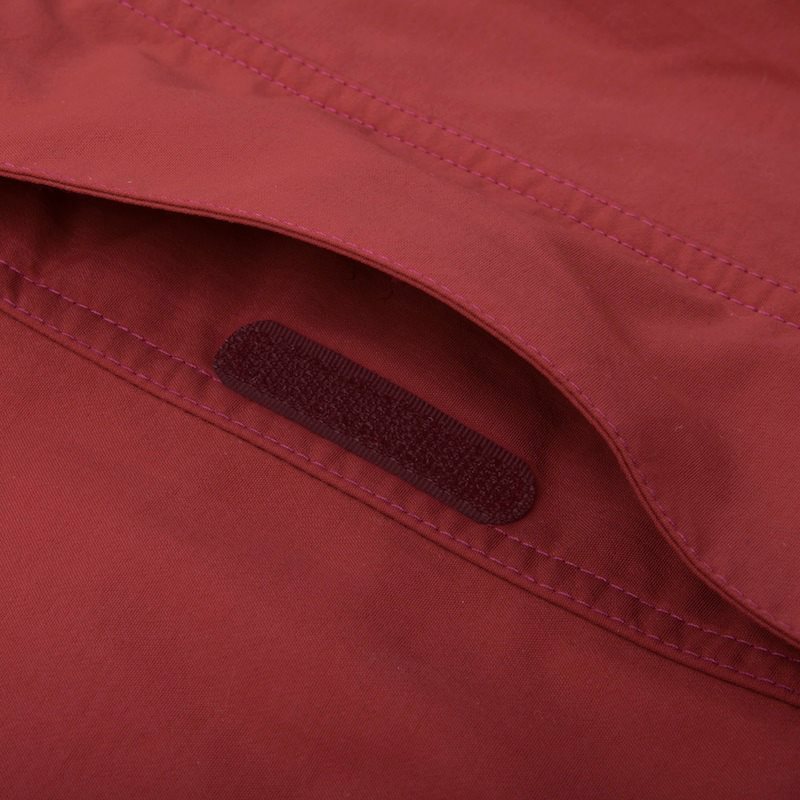 The Carabo jacket is a new development for S2012,manufactured in the United Kingdom utilising 65% polyester and 35% cotton teflon coated fabric which is water repellant and with technical mesh lining. 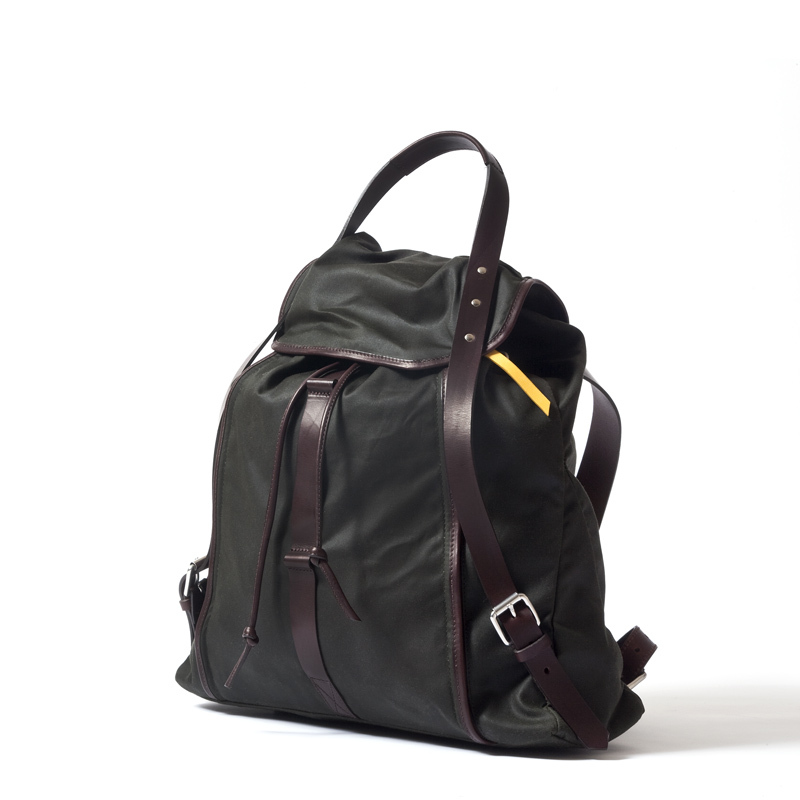 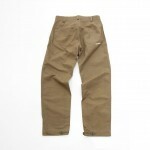 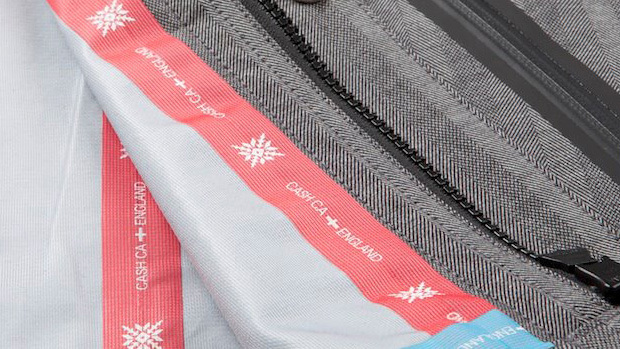 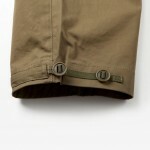 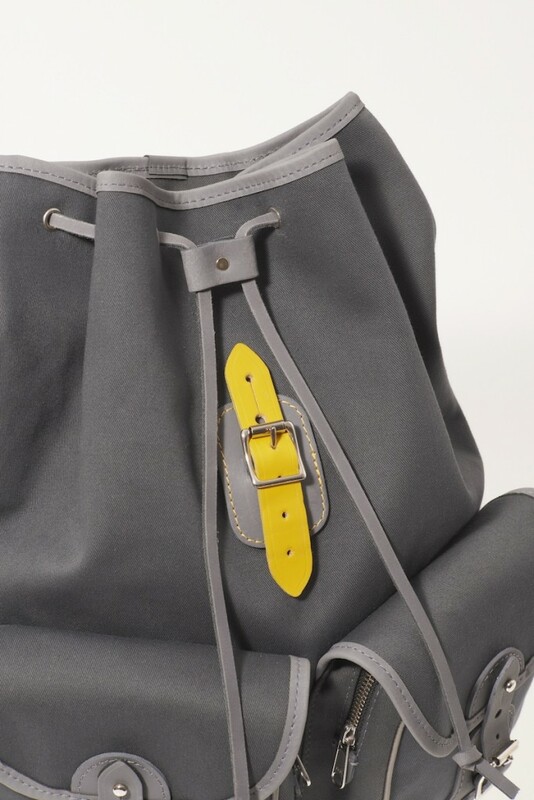 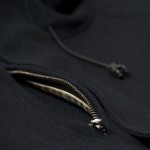 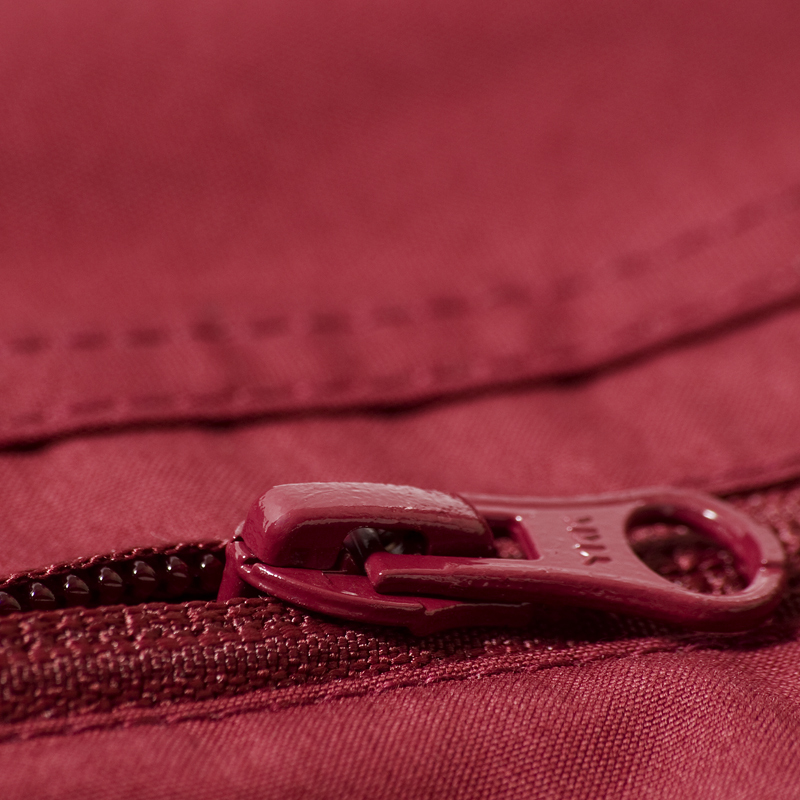 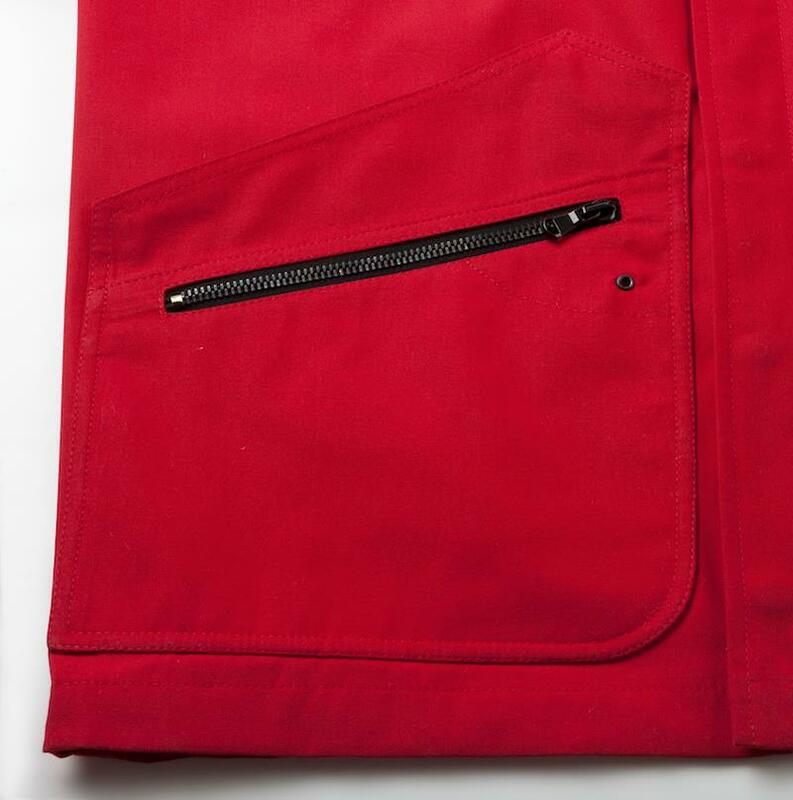 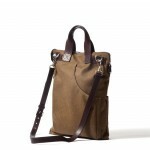 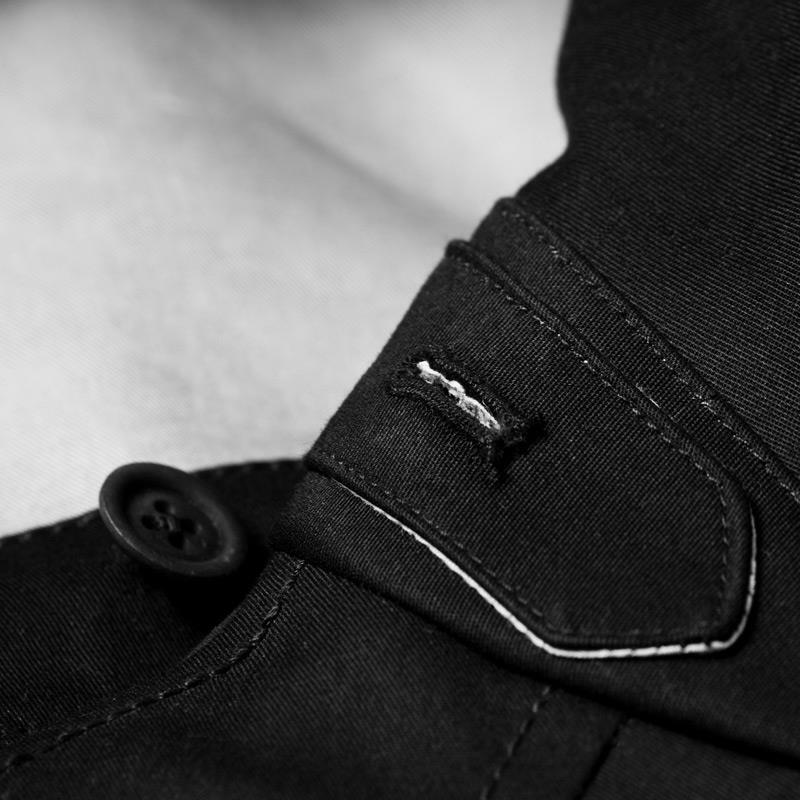 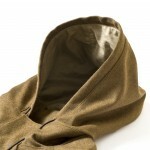 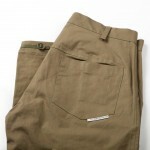 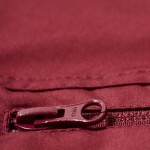 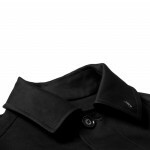 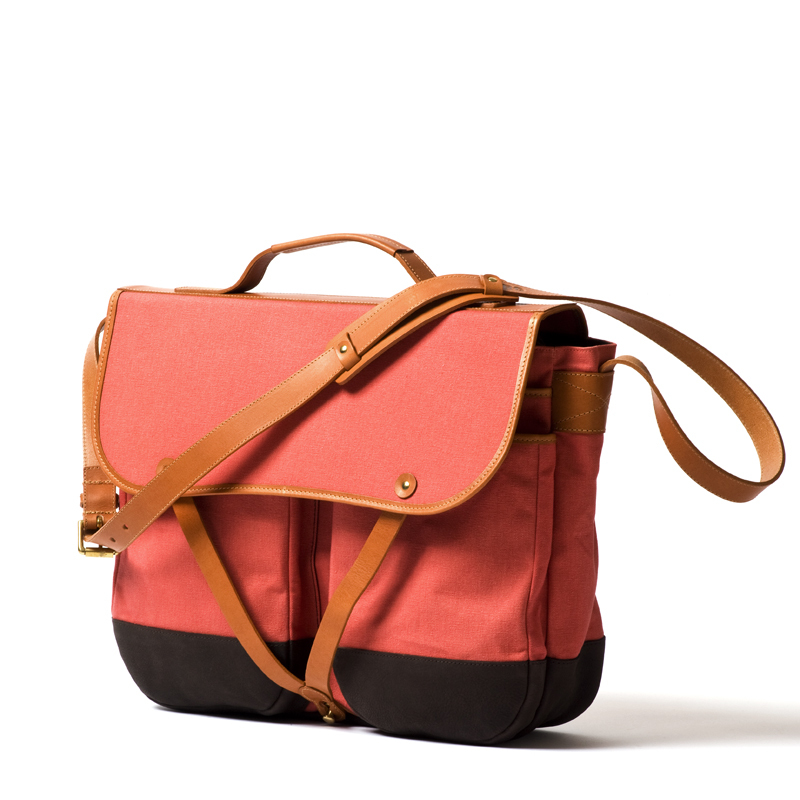 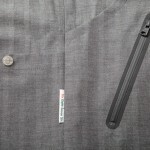 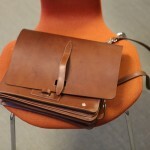 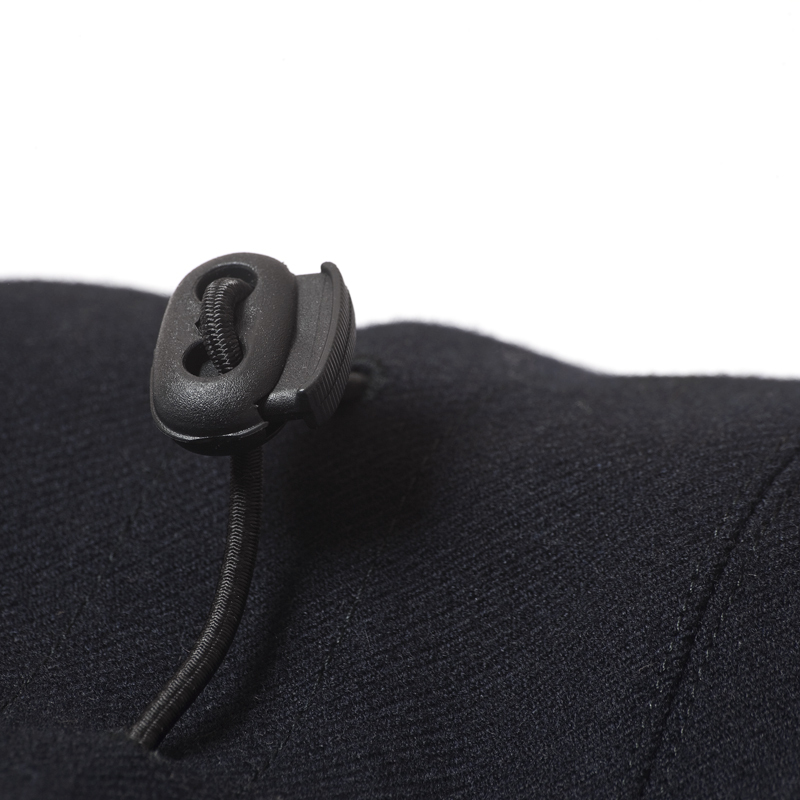 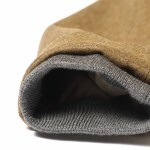 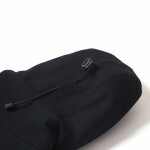 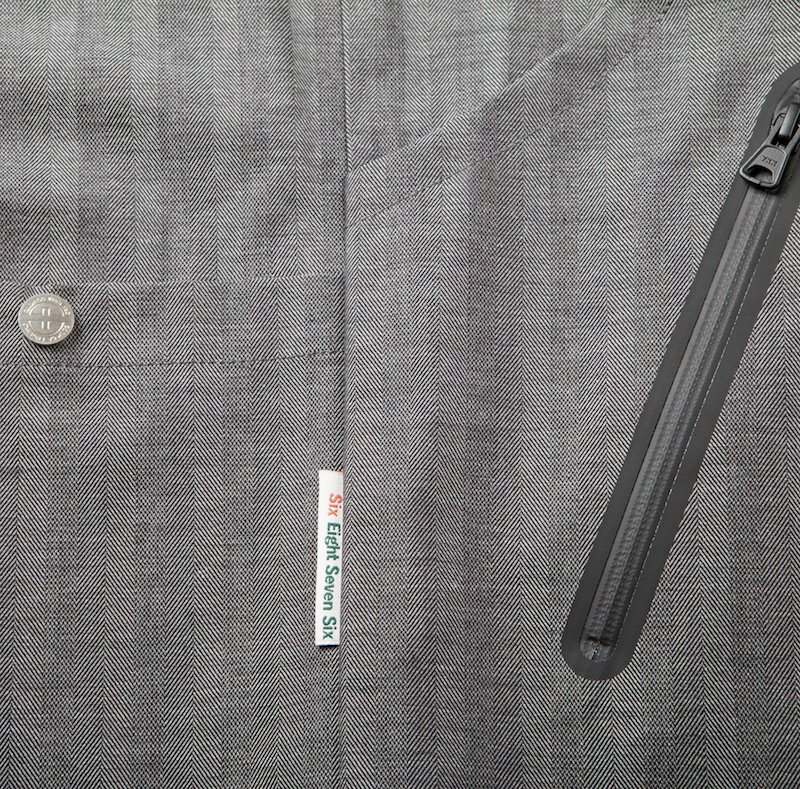 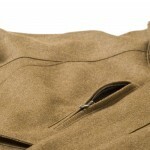 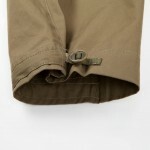 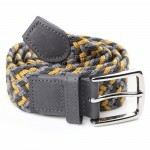 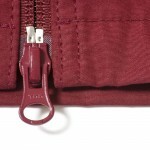 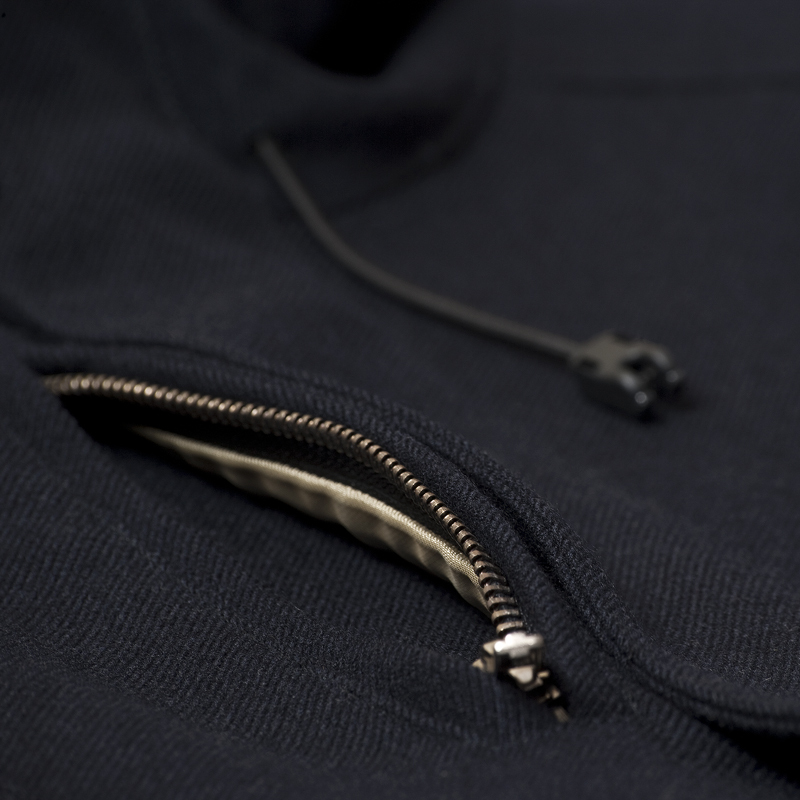 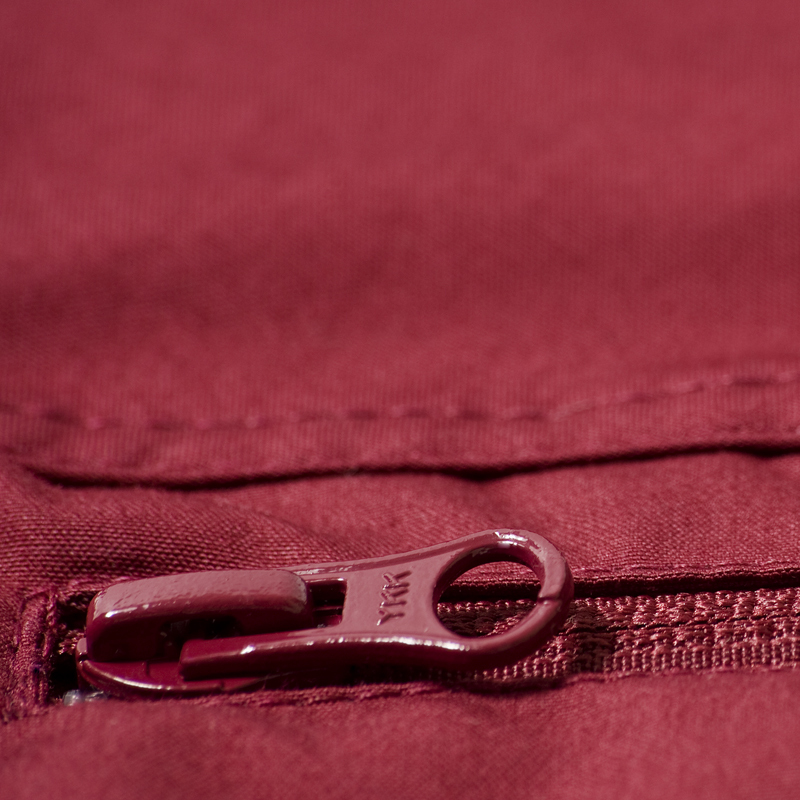 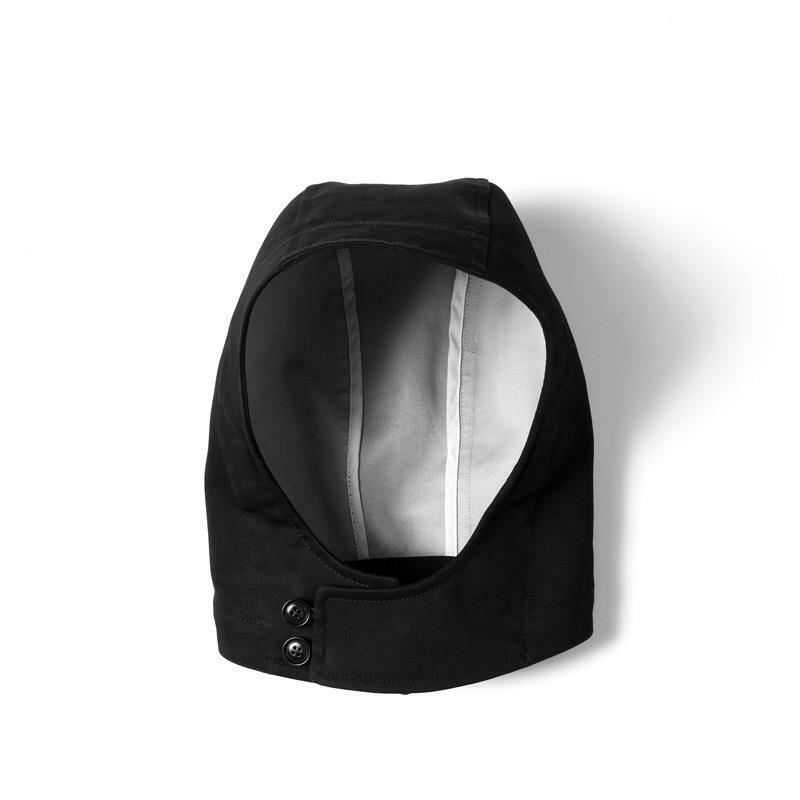 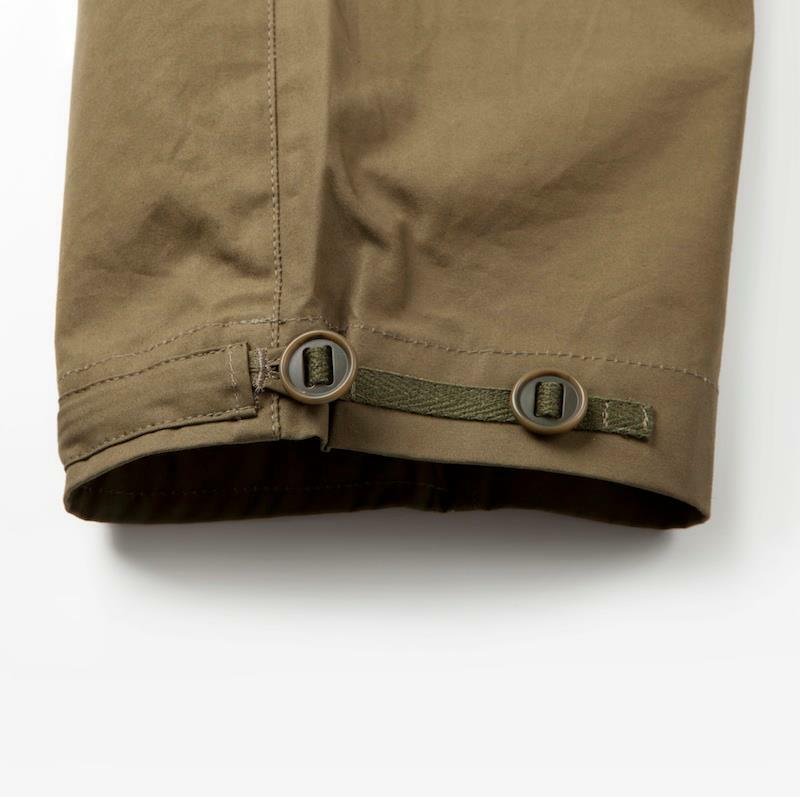 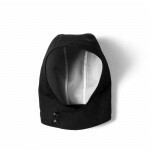 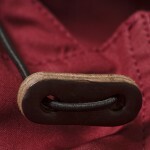 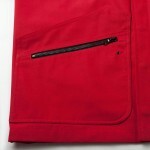 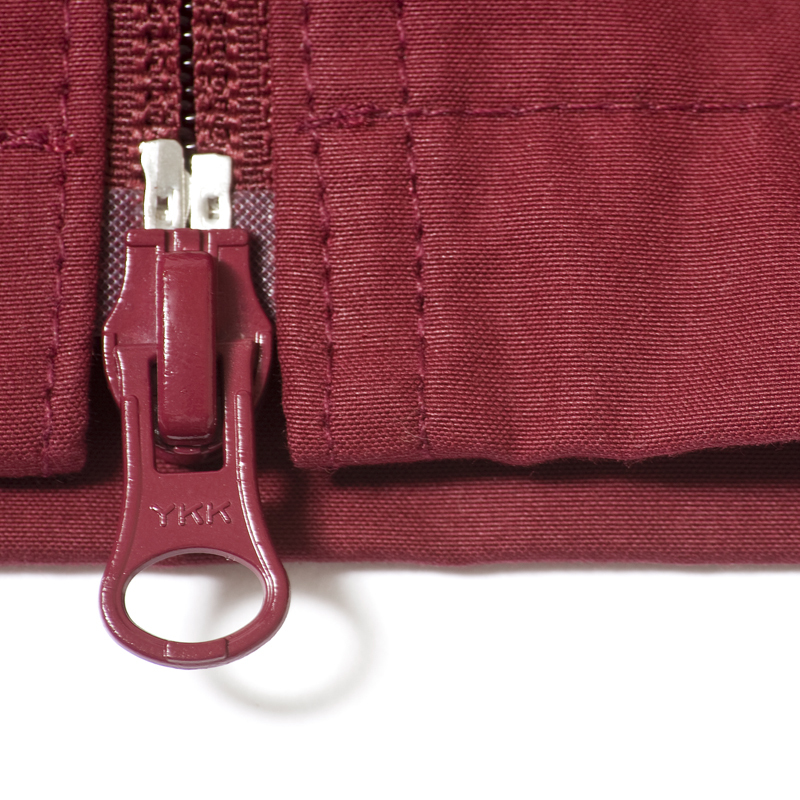 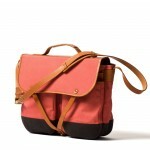 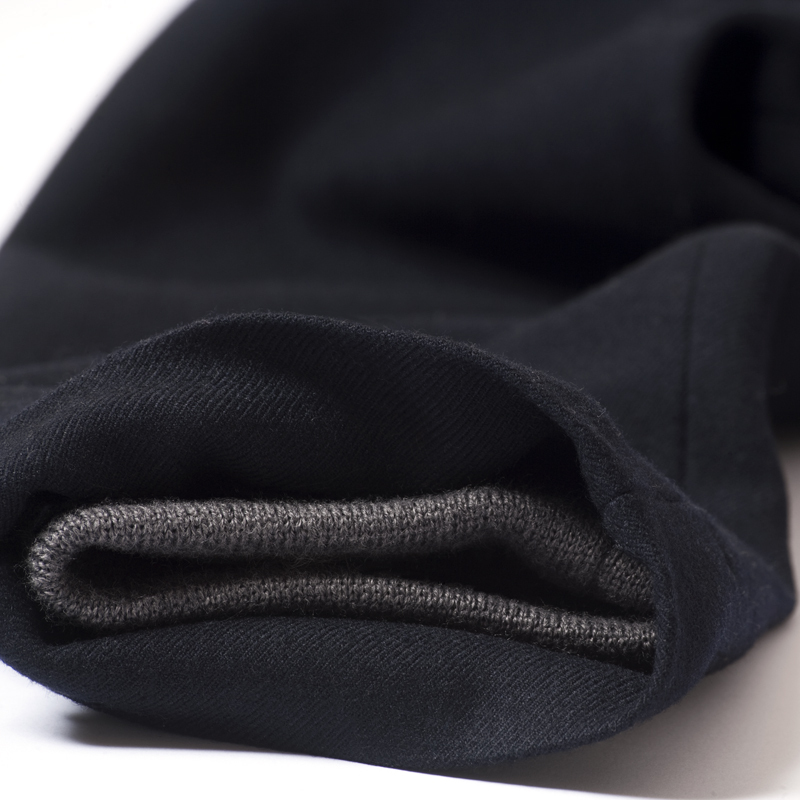 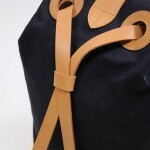 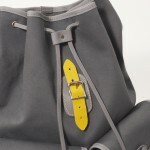 Details include double entry pockets,black oxodized Lampo zips and offset funnel neck fastening. 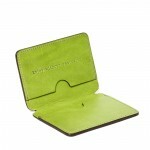 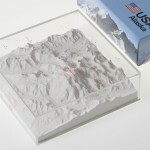 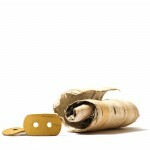 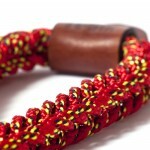 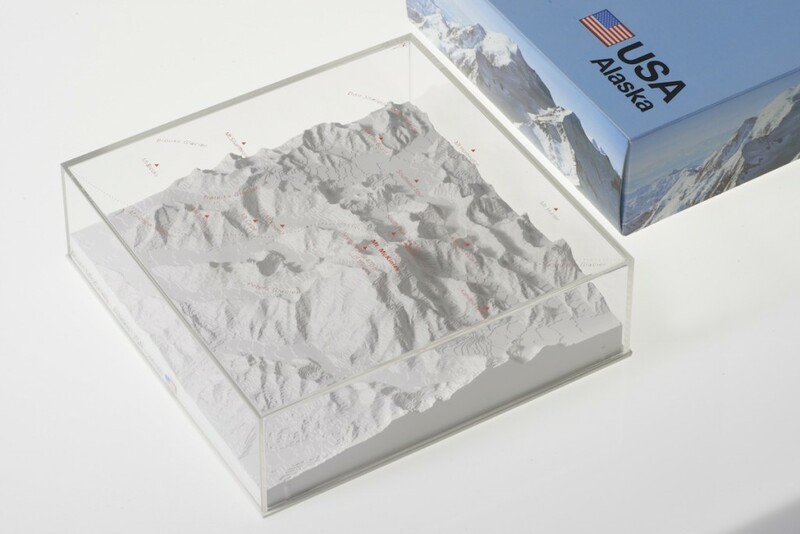 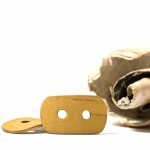 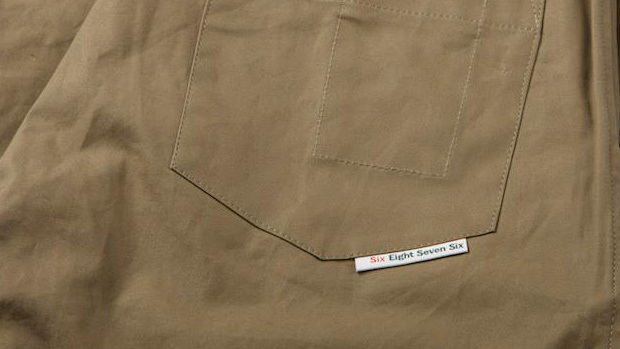 Produced in limited numbers and exclusive to the 6876 website. 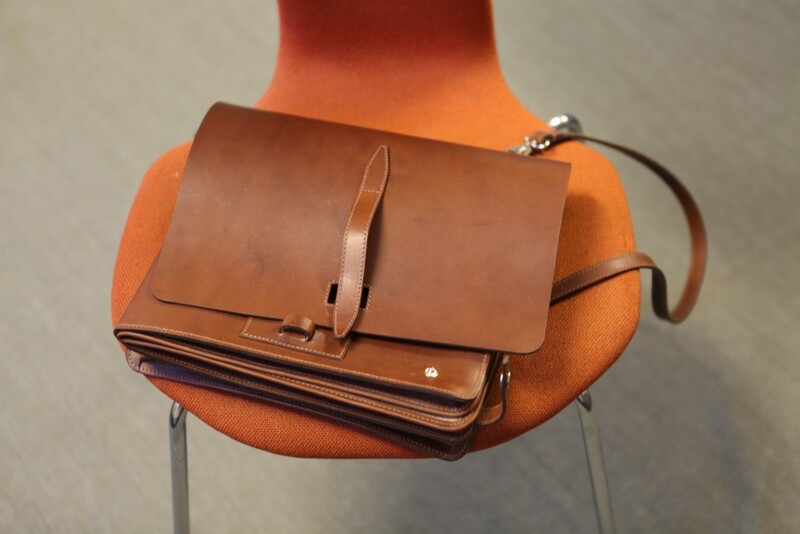 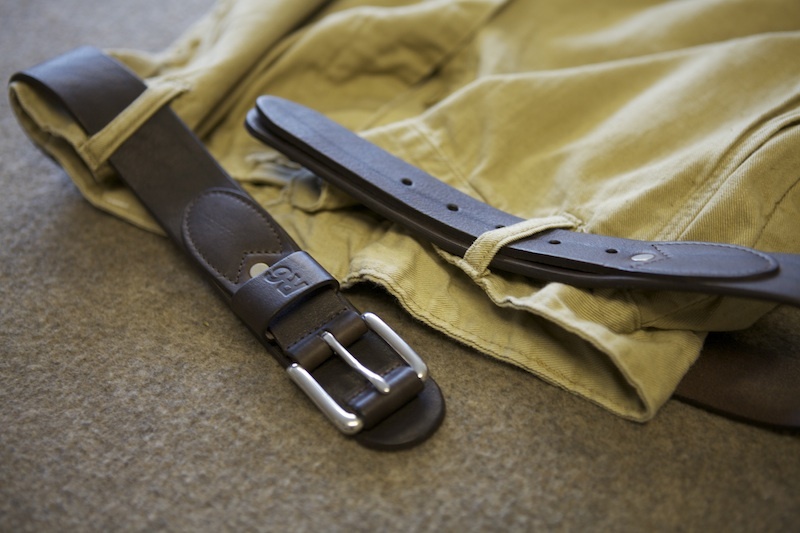 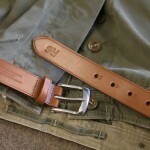 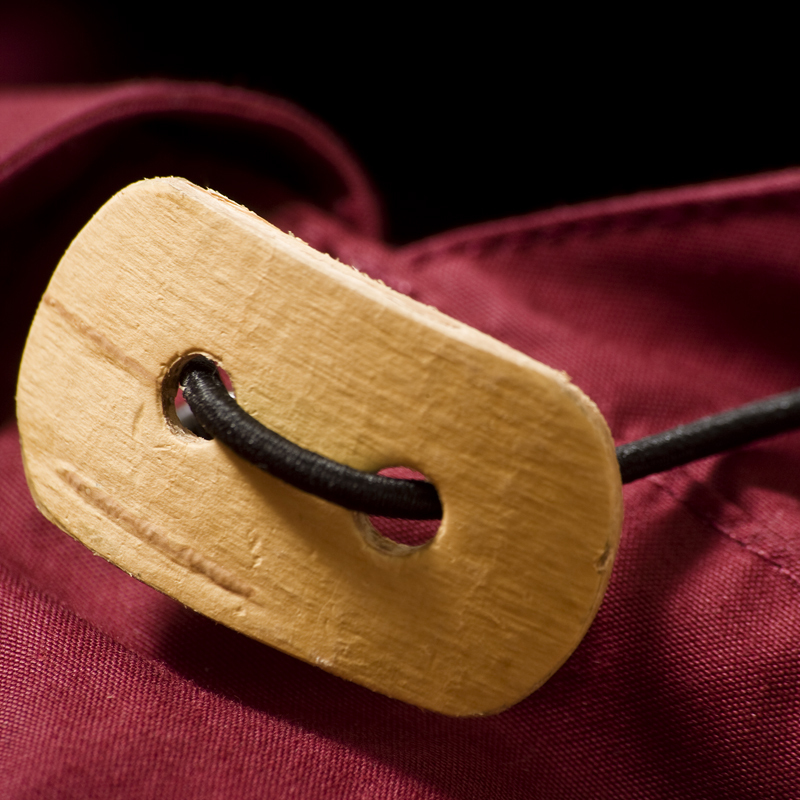 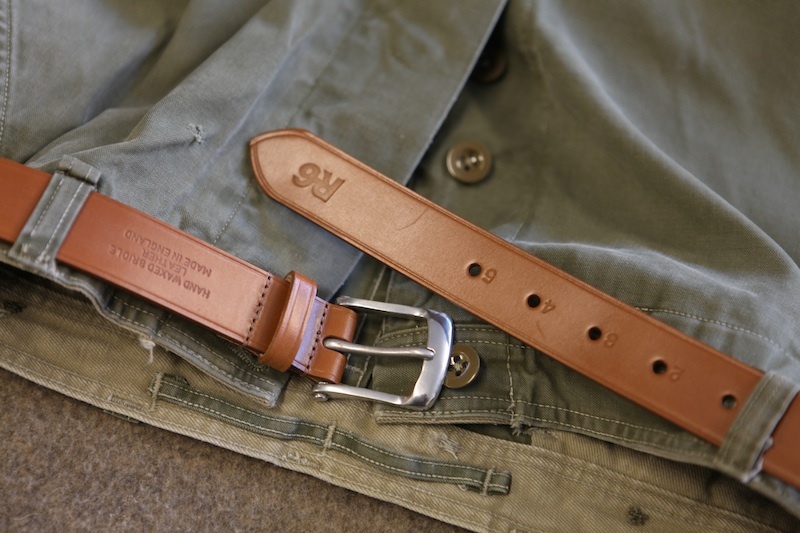 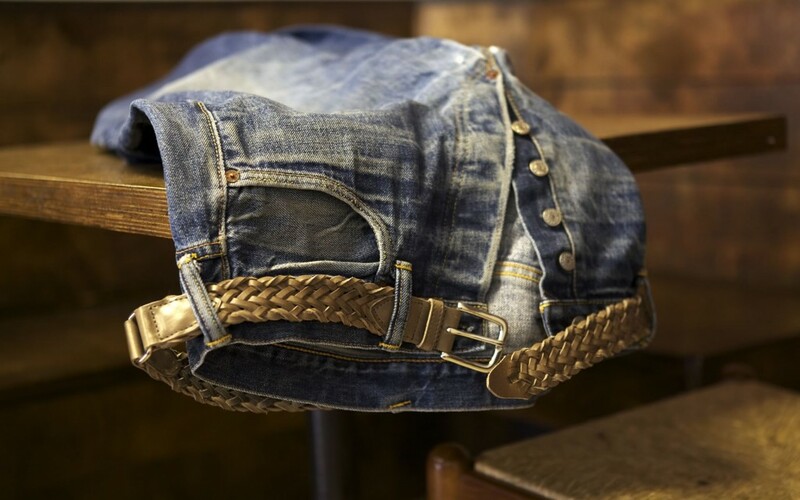 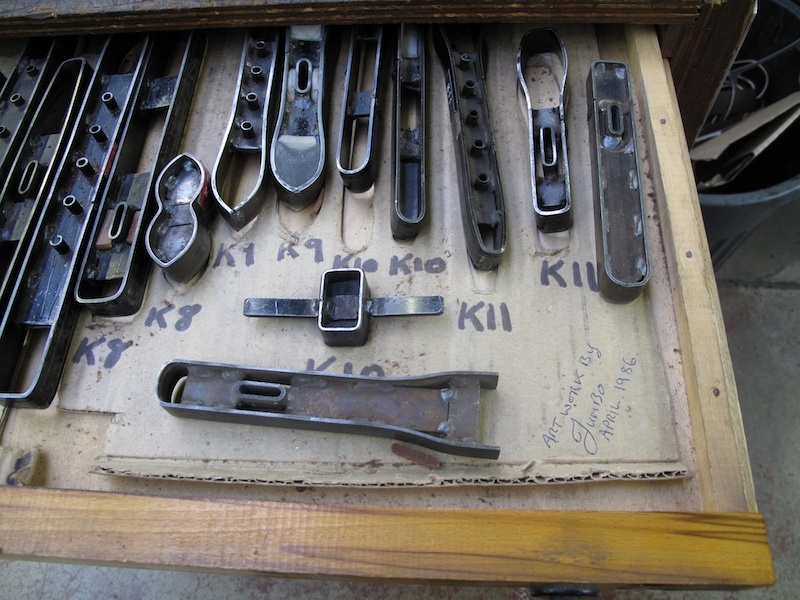 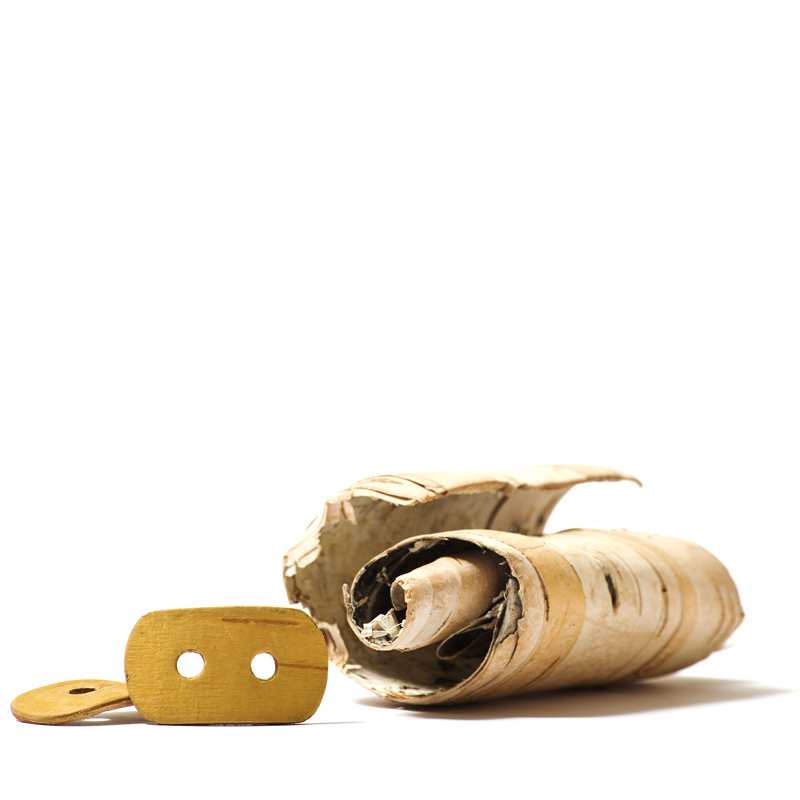 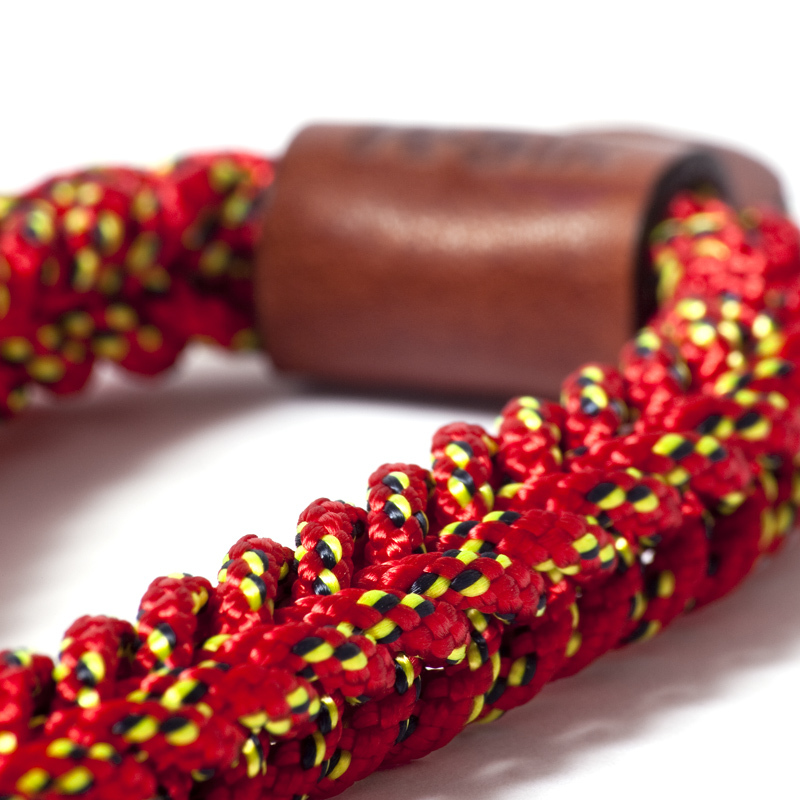 Manufactured in England utilising 200gram Ventile with Ykk Reverse coil zips and a choice of custom made re-used leather or hand made natural birch bark cord pullers. 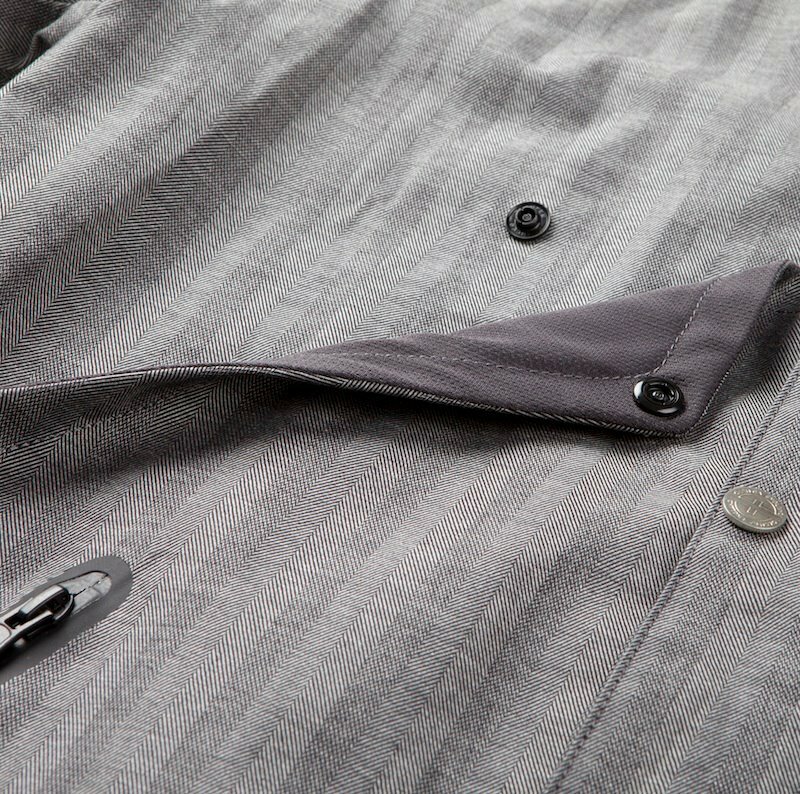 The Rusland has been developed meticulously representing a fusion of the 6876 modernist aesthetic and timeless sportswear principles. 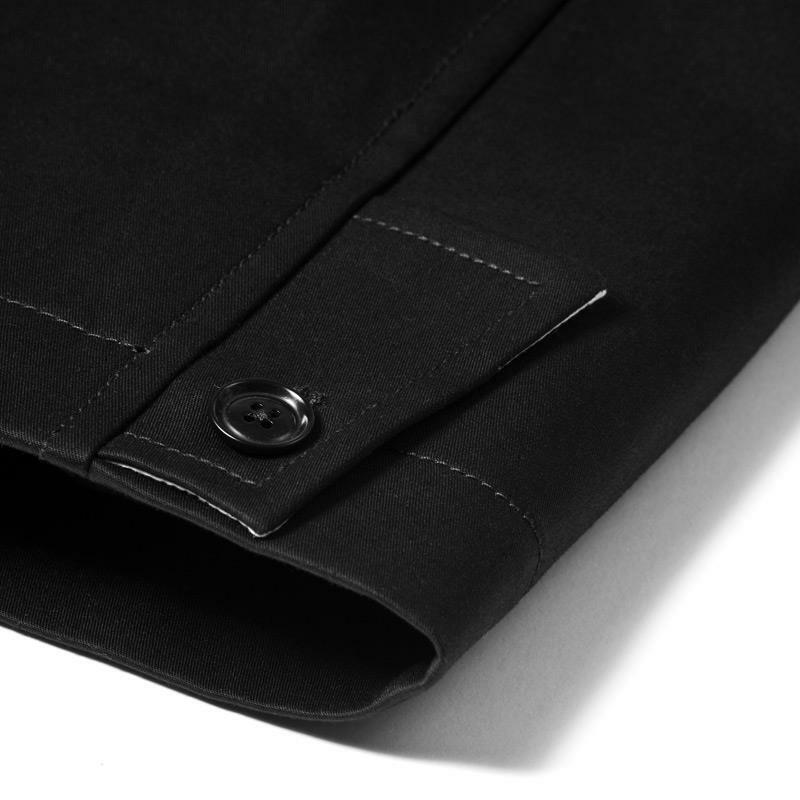 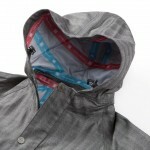 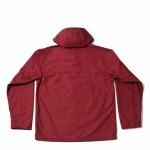 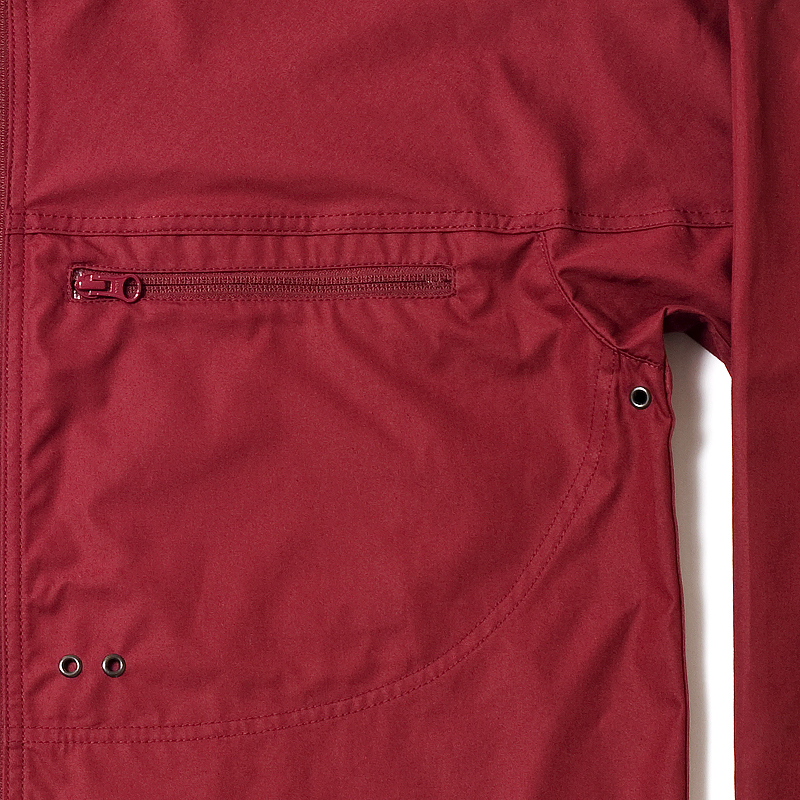 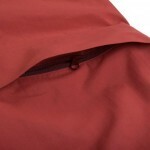 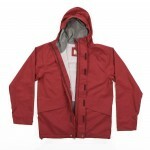 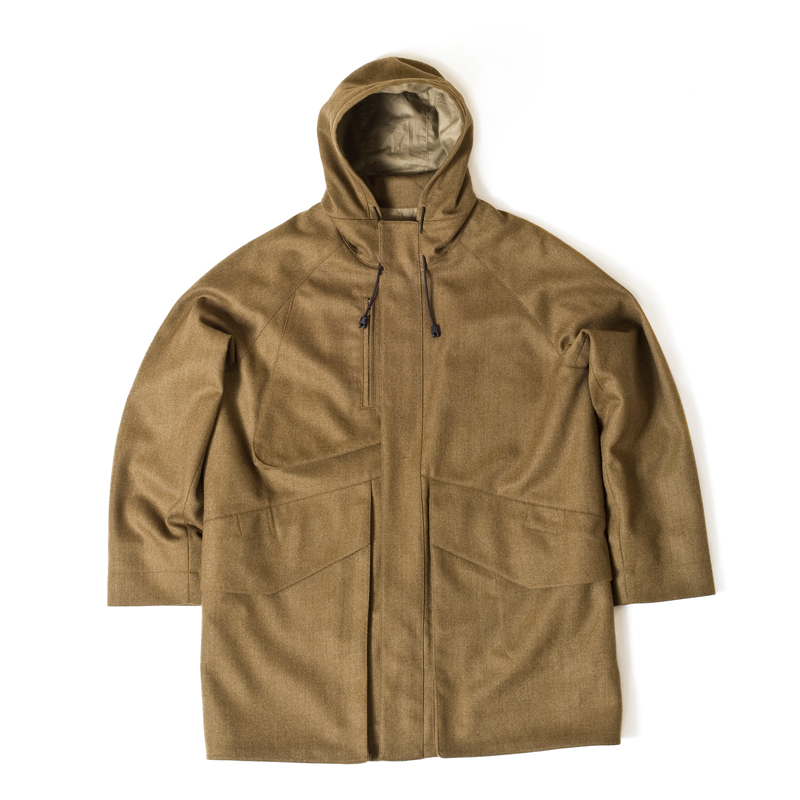 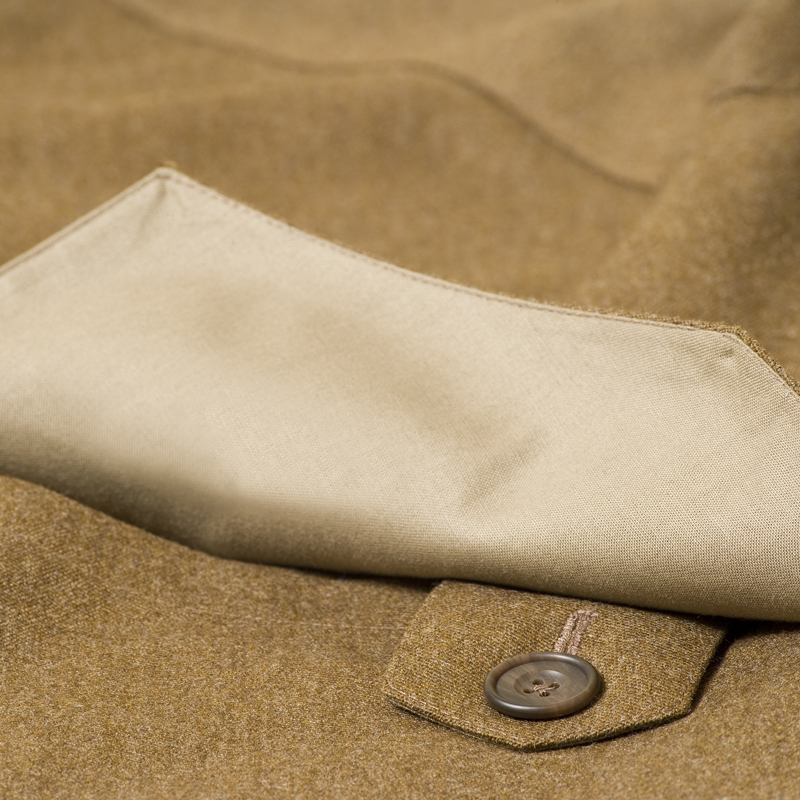 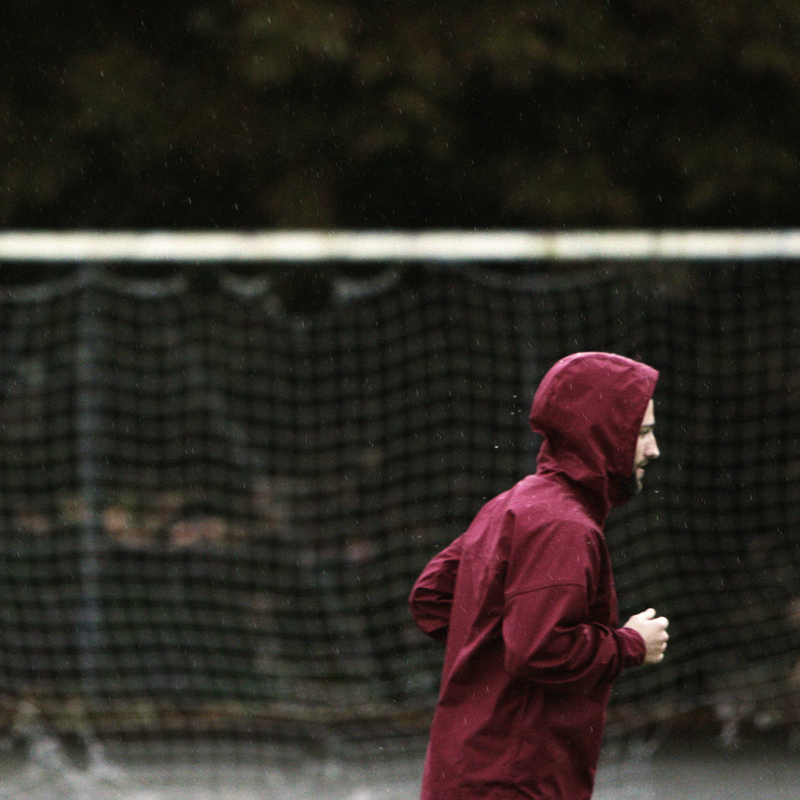 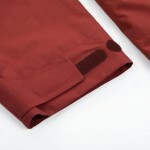 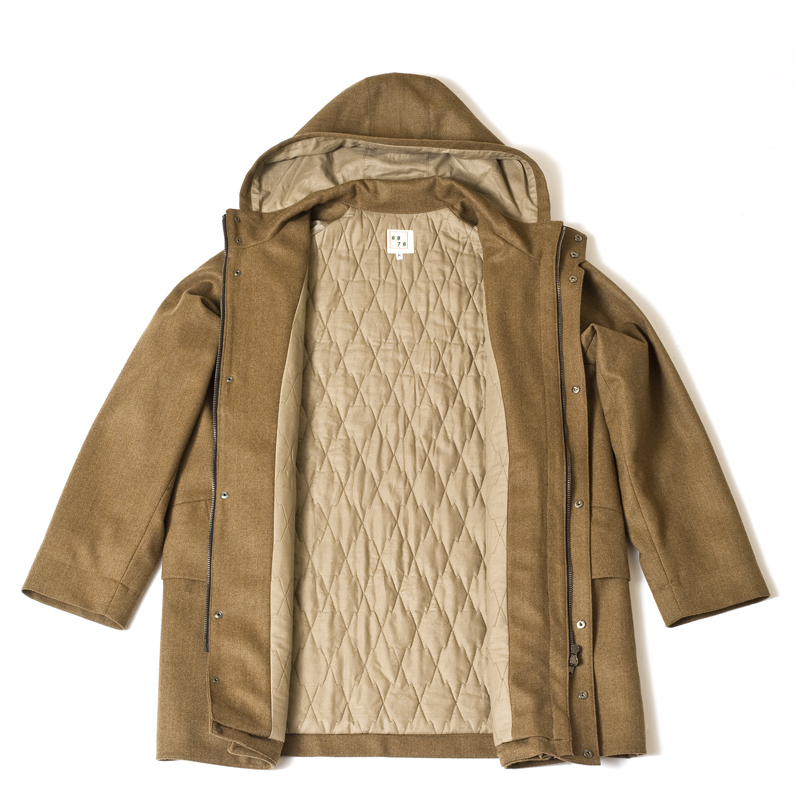 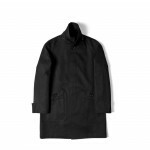 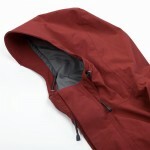 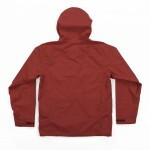 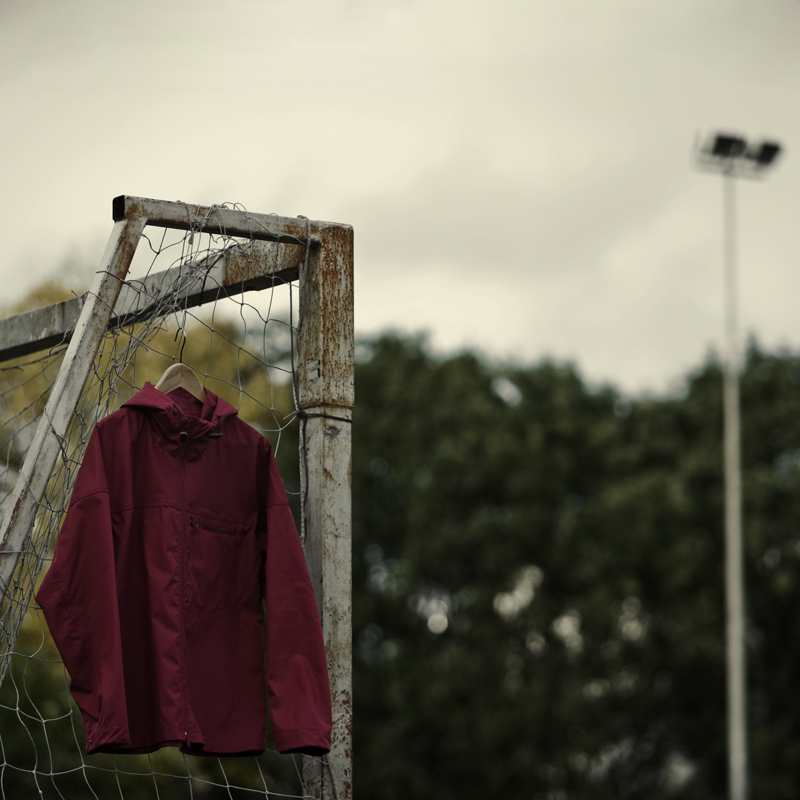 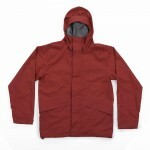 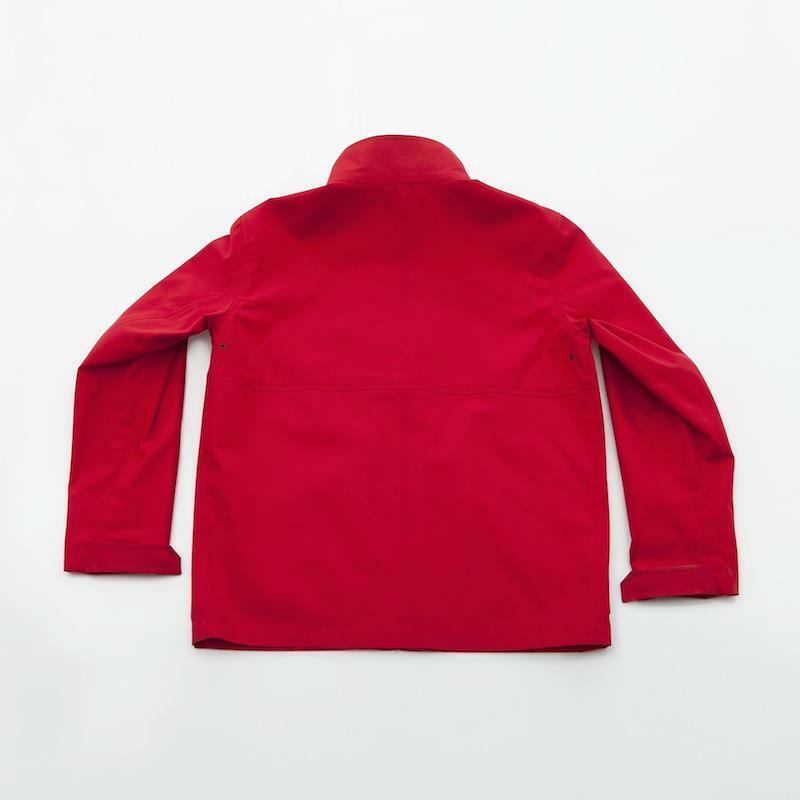 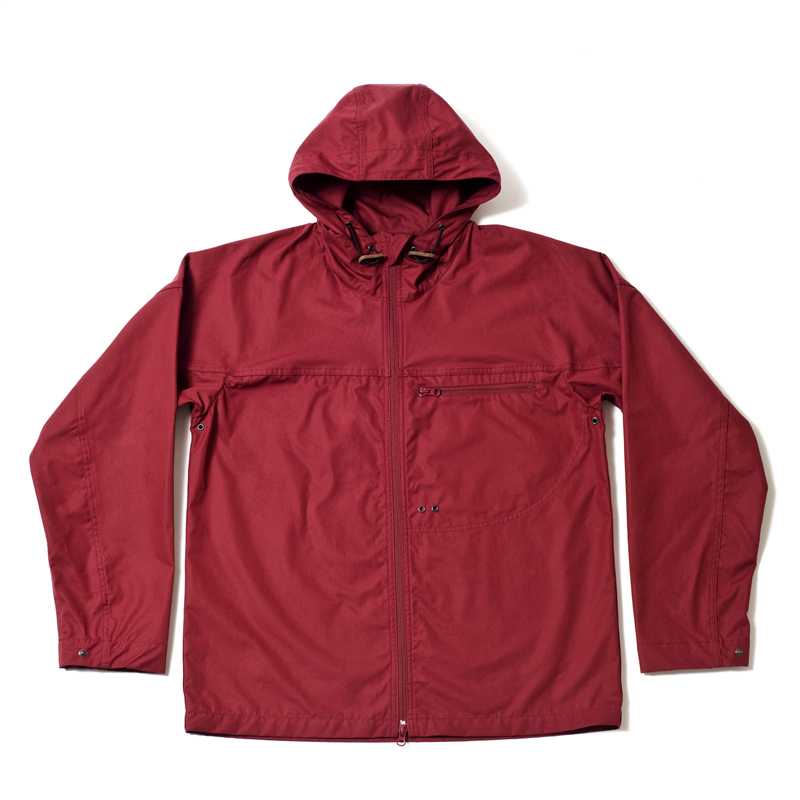 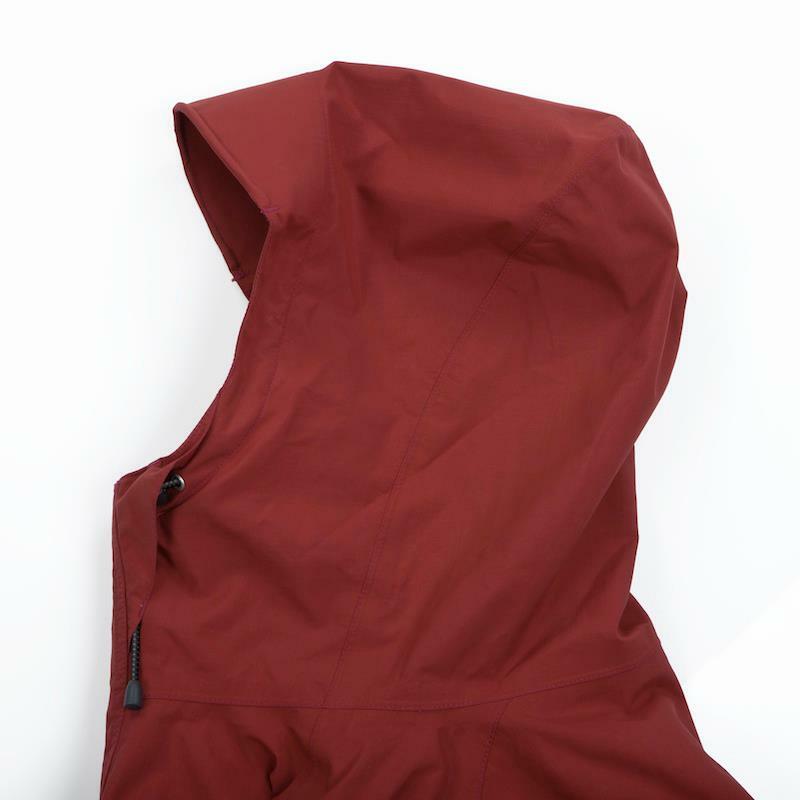 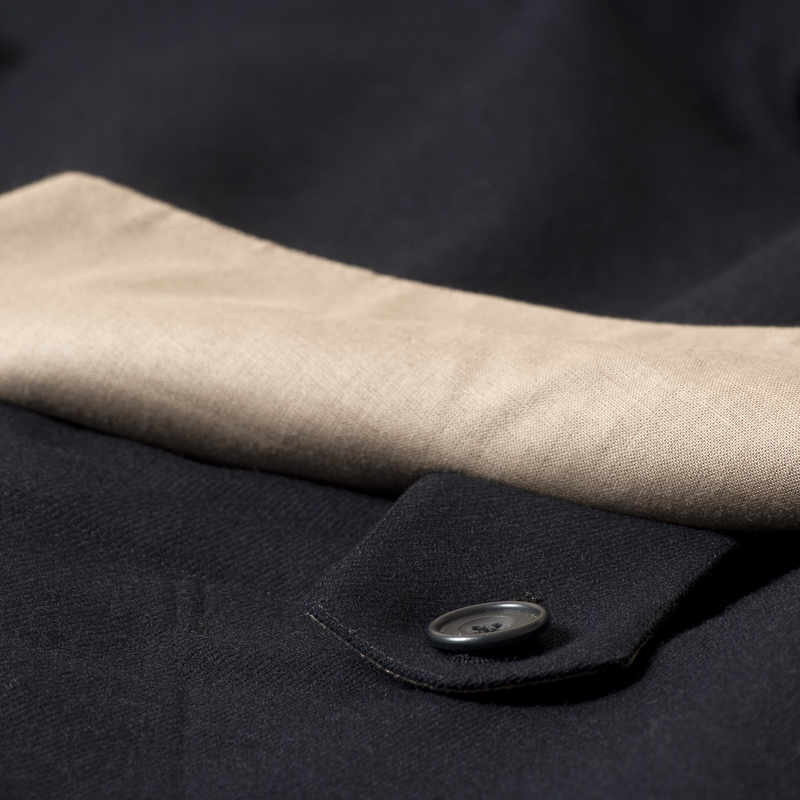 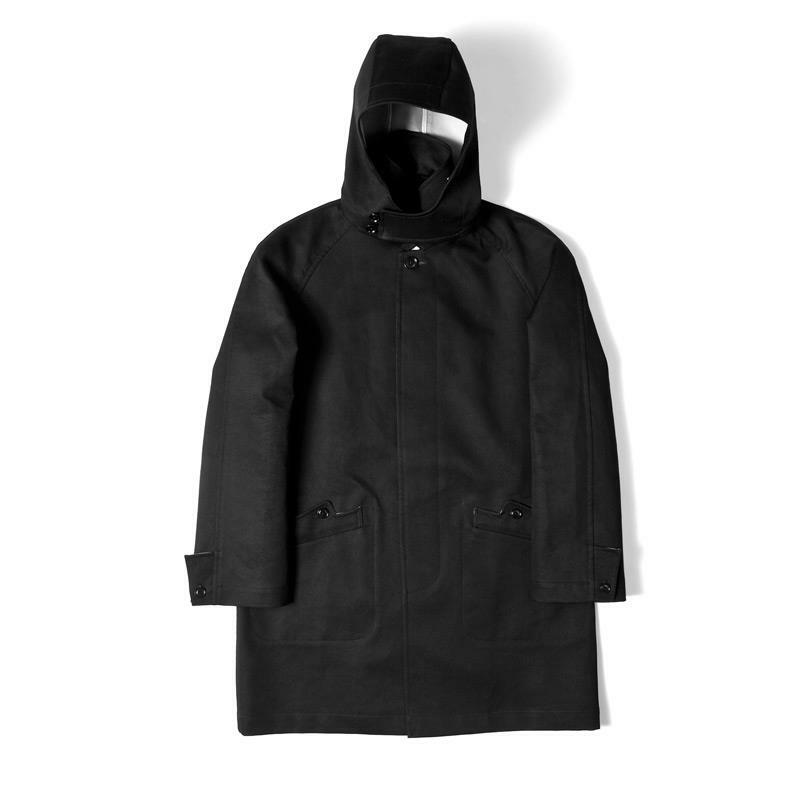 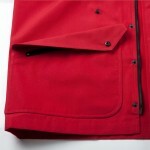 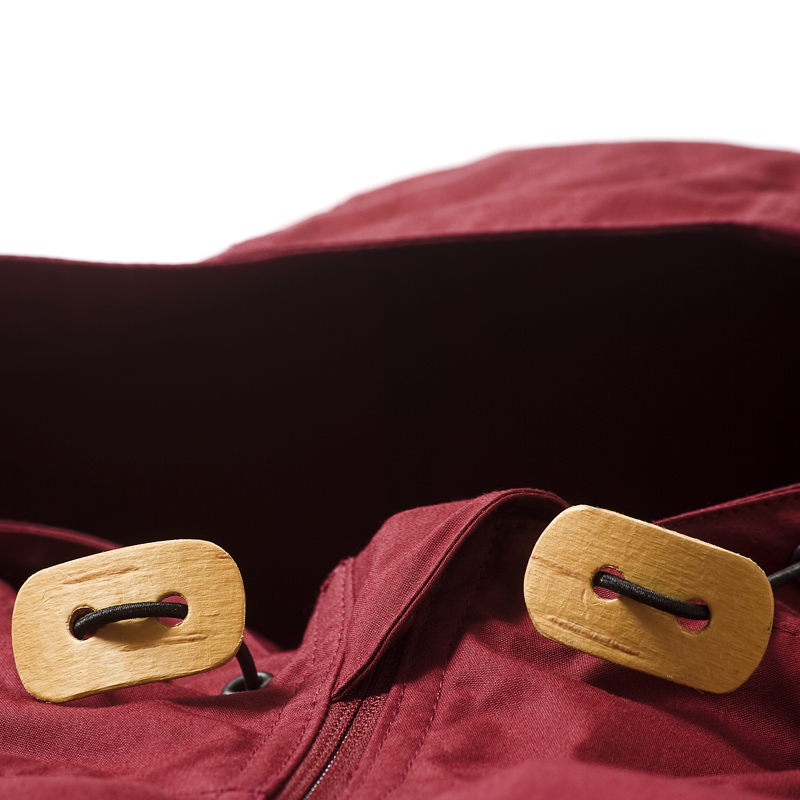 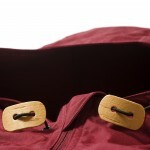 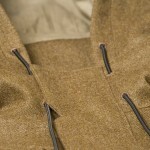 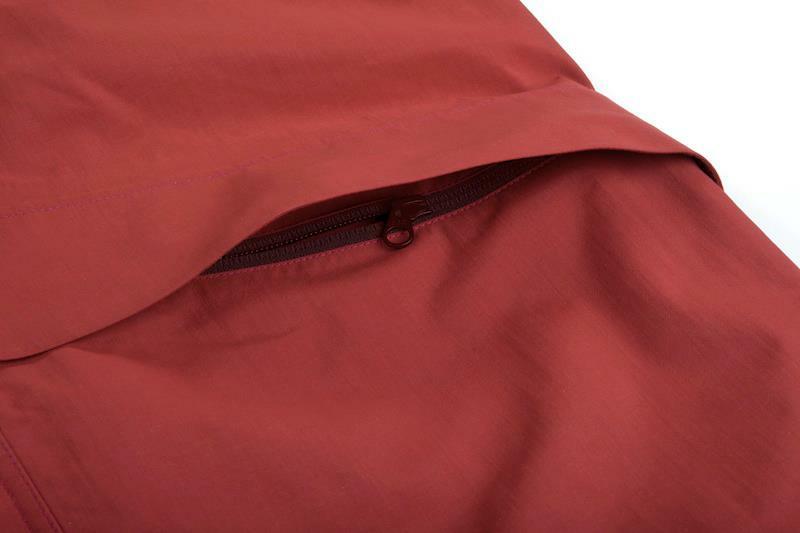 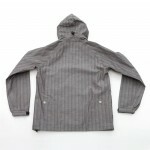 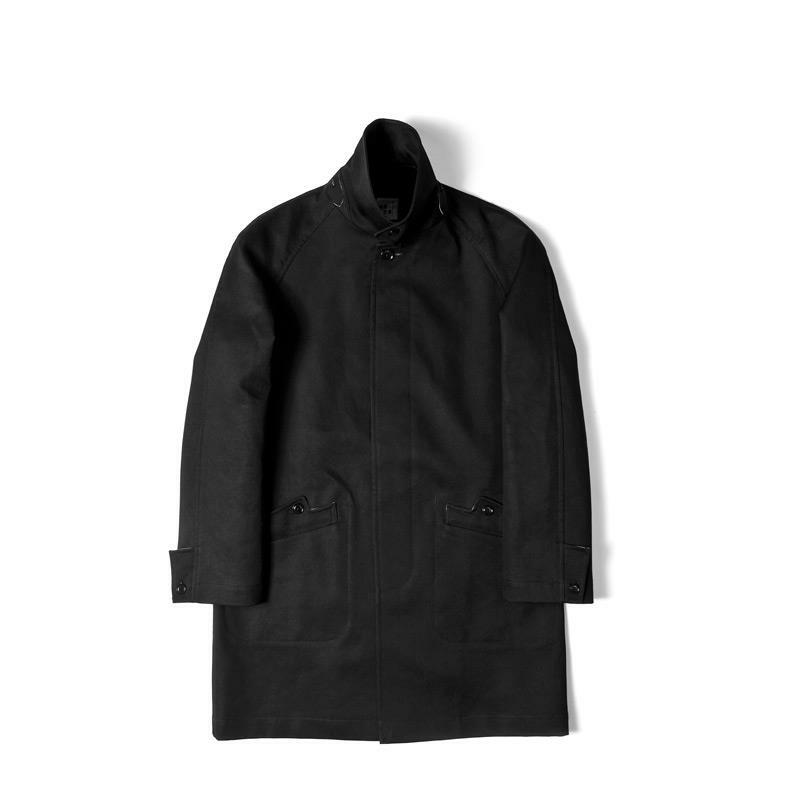 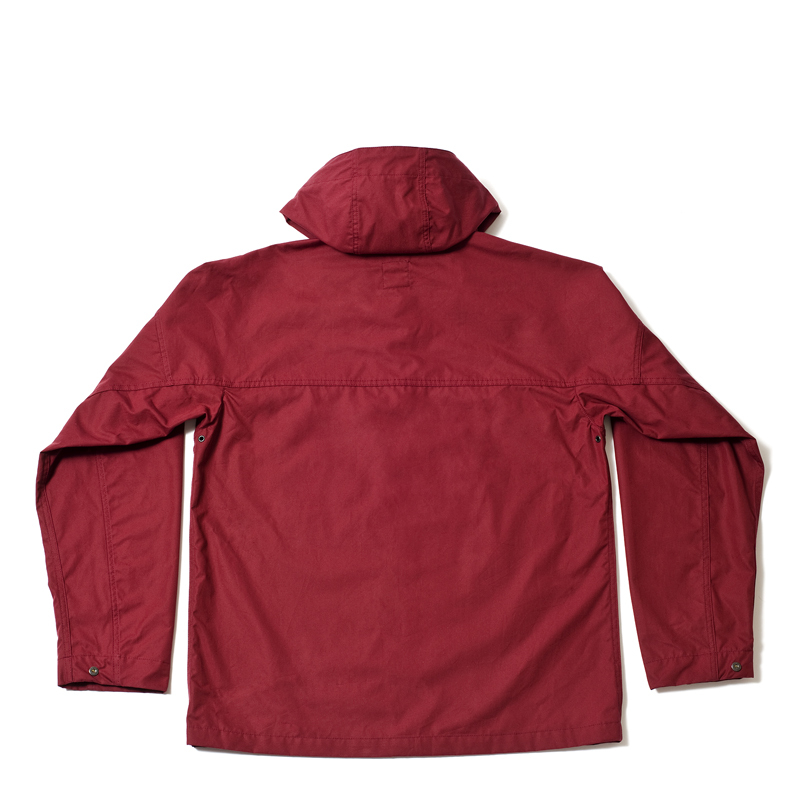 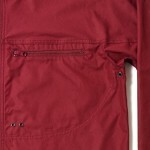 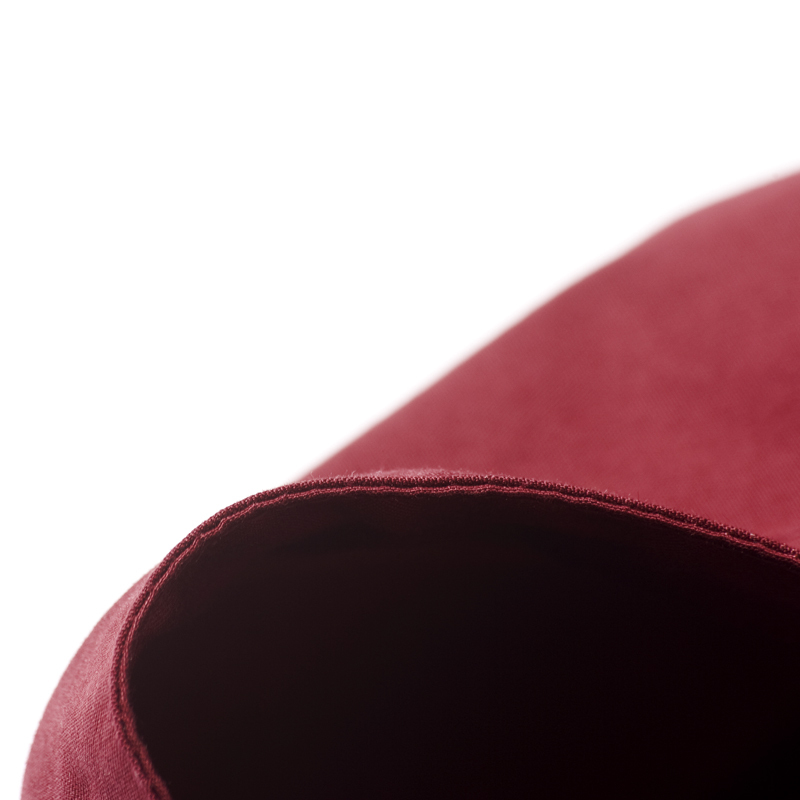 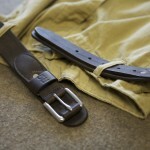 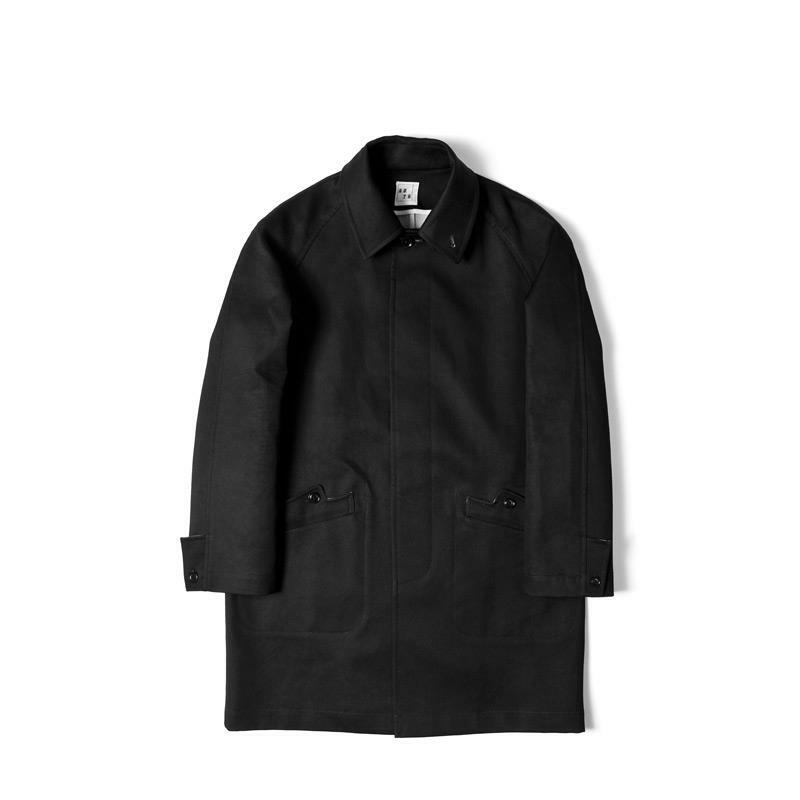 The Kamm raincoat produced in 100% bonded British Millerain cloth and manufactured in London. 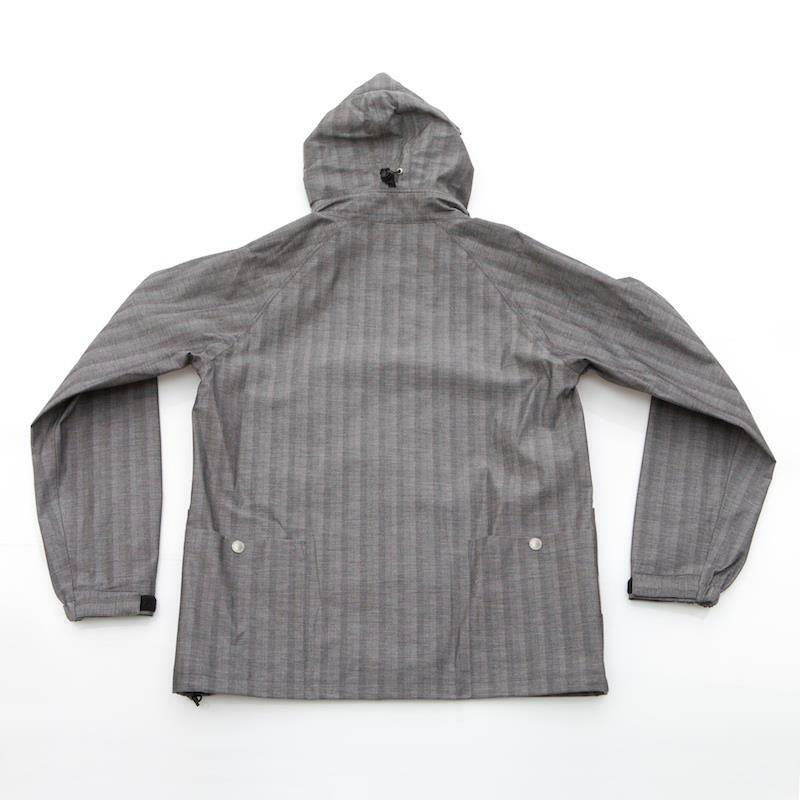 Modernist pocket and hood design lines give this garment a classic yet forward feel and produced exclusively for Boys Co in Japan.